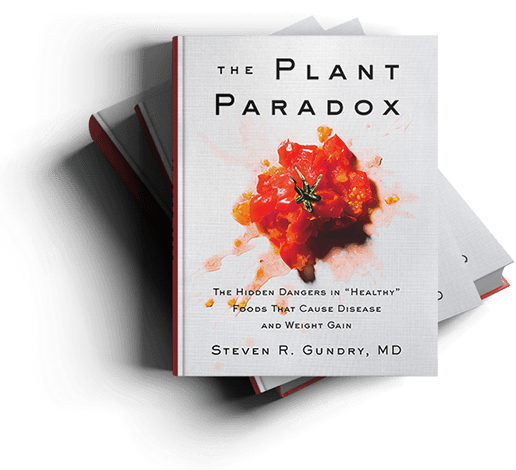 Starting and maintaining a new diet is hard, and Dr. Steven Gundry’s Plant Paradox program, excellent as it is, is no exception. Like with any diet book, it doesn’t help when you have to constantly leaf back and forth through the pages, trying to keep track of where each recipe is for the various phases and associated meal plans. After experiencing this first-hand, I decided to create this interactive guide. You’ll find a trove of lectin-free breakfast, lunch, dinner and dessert recipes that cover phases 1, 2 and 3 of the Plant Paradox diet. There’s a drop-down Table of Contents menu that makes it easy to access them all. 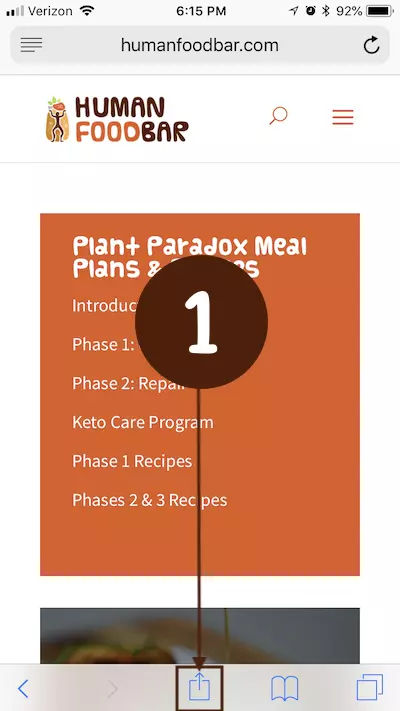 The final section of this guide lays out the 14 day program in detail, with direct links to each recipe, as well as the popular Plant Paradox 3-Day Cleanse. Start there if you’re new to the diet. You should still read Dr. Gundry’s NY Times best-selling book, as this guide is meant to be an accompaniment, not a substitute. The Plant Paradox (Amazon) is a great read and understanding why lectins are so problematic, and why prebiotic fiber is so important (and much more), are key to keeping you motivated to stick to the diet. Plant Paradox foods list (mobile friendly and great to have on-the-go). 15 Lectin-free Superfoods Dr. Gundry Recommends (that you can easily bring into your diet). 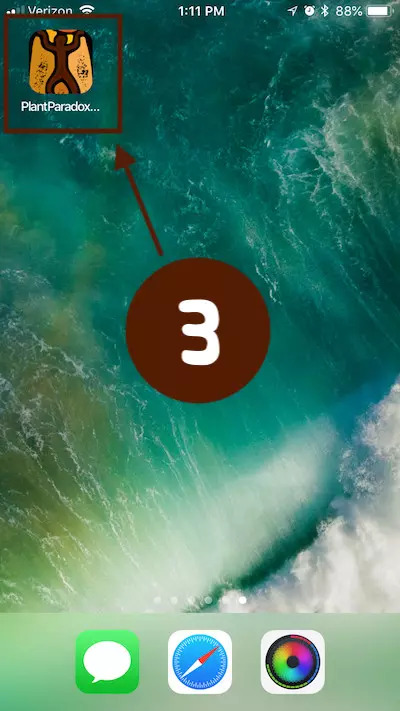 I recommend bookmarking this page on your computer, phone or tablet for easy access (it makes it into an app on your home screen). 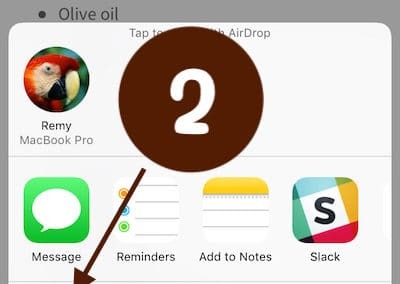 Here’s how to do it on an iPhone or iPad. Place all the ingredients in a high-powered blender and blend on high until smooth and fluffy, adding more ice cubes if desired. Add a little more water if the smoothie is too thick. You can make a triple batch and refrigerate for up to three days in a covered glass container. 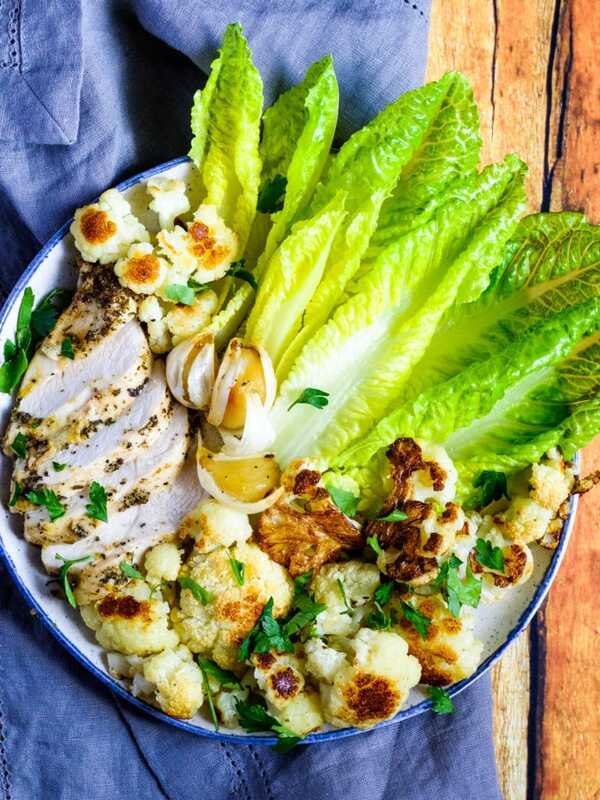 Note that this recipe uses the same dressing that’s in the Romaine Salad with Avocado and Cilantro-Pesto Chicken. You might, therefore, want to make two batches of dressing, storing the rest in a glass container to use in a meal the following day. MAKE THE CHICKEN. Heat the avocado oil in a small skillet over high heat. Place the chicken strips in the hot pan and sprinkle with the lemon juice and salt. Sauté the chicken strips for about 2 minutes; turn them and sauté for another 2 minutes, until cooked through. Remove from the pan and reserve. MAKE THE DRESSING. Combine the ingredients in a mason jar with a tight-fitting lid. (Double the ingredients if making two batches.) Shake until well combined. TO SERVE. 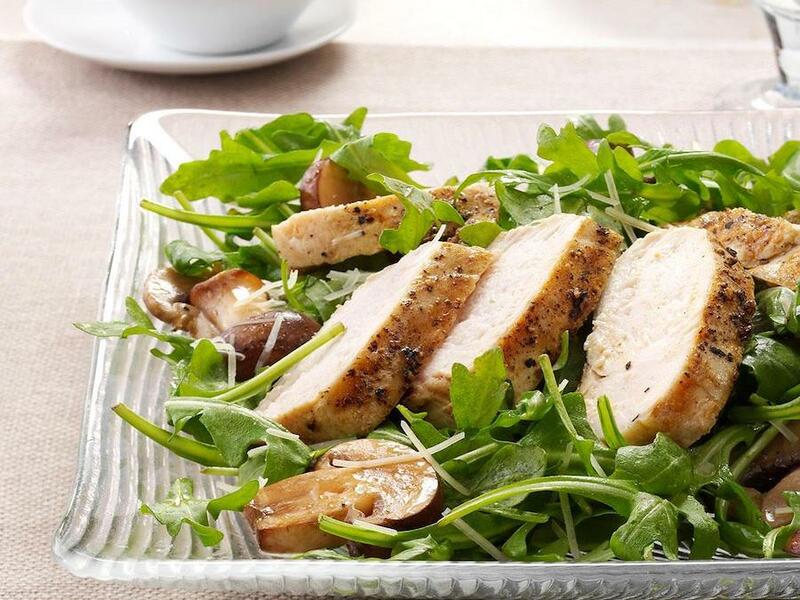 Toss the arugula in the dressing and top with the chicken, adding the lemon zest, if desired. VEGAN VERSION: Replace the chicken with grain-free tempeh, hemp tofu, or a cauliflower “steak,” a 3/4-inch-thick cauliflower slice seared over high heat in avocado oil until golden brown on both sides. VEGETARIAN VERSION: Same as above or substitute acceptable Quorn products. 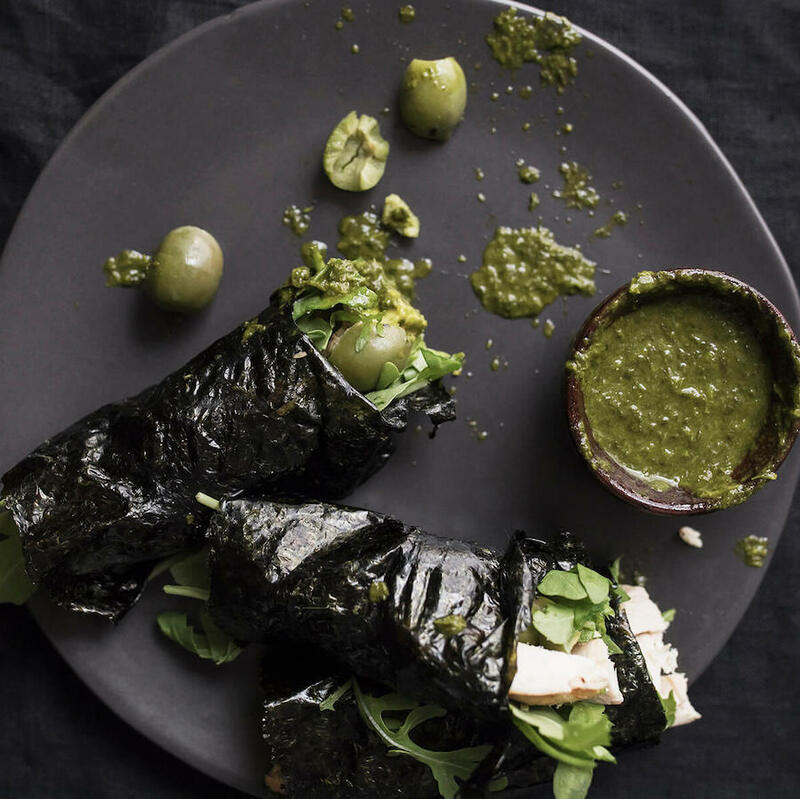 To save time on this meal, make the cilantro pesto in advance and store for up to three days in the refrigerator in a covered glass container. You can substitute basil or parsley for the cilantro. MAKE THE CHICKEN: Heat the avocado oil in a small skillet over high heat. Place the chicken strips in the hot pan and sprinkle with the lemon juice and salt. Sauté the chicken strips for about 2 minutes; turn them and sauté for another 2 minutes, until cooked through. Remove from the pan and reserve. MAKE THE PESTO: Place the ingredients in a high-powered blender. Process on high until very smooth. MAKE THE DRESSING. Toss the avocado in 1 tablespoon of the lemon juice and set aside. Combine the remaining 1 tablespoon lemon juice, the olive oil, and salt in a mason jar with a tight-fitting lid. (Double the ingredients if making two batches.) Shake until well combined. TO SERVE. Toss the romaine in the dressing. Arrange the avocado and chicken over the lettuce and spread the pesto on top. Nori is a form of seaweed that has been flattened into squares or strips. It makes a great stand-in for flatbread. A bamboo mat, available in the Asian foods section of most supermarkets, can help you roll tight seaweed wraps. MAKE THE FILLING. Heat the avocado oil in a small skillet over high heat. Place the chicken strips in the hot pan and sprinkle with 1 tablespoon of the lemon juice and the salt. Sauté the chicken strips for about 2 minutes; turn them and sauté for another 2 minutes until cooked through. Remove from the pan and reserve. Toss the avocado in the remaining tablespoon lemon juice and season with salt. MAKE THE DIPPING SAUCE. Place the ingredients in a high-powered blender. Process on high until very smooth. TO SERVE. Arrange the arugula on the bottom half of the seaweed sheet. Top with the chicken, avocado, and olives. Sprinkle with salt. Carefully roll into a tight wrap, sealing the end with a little water. 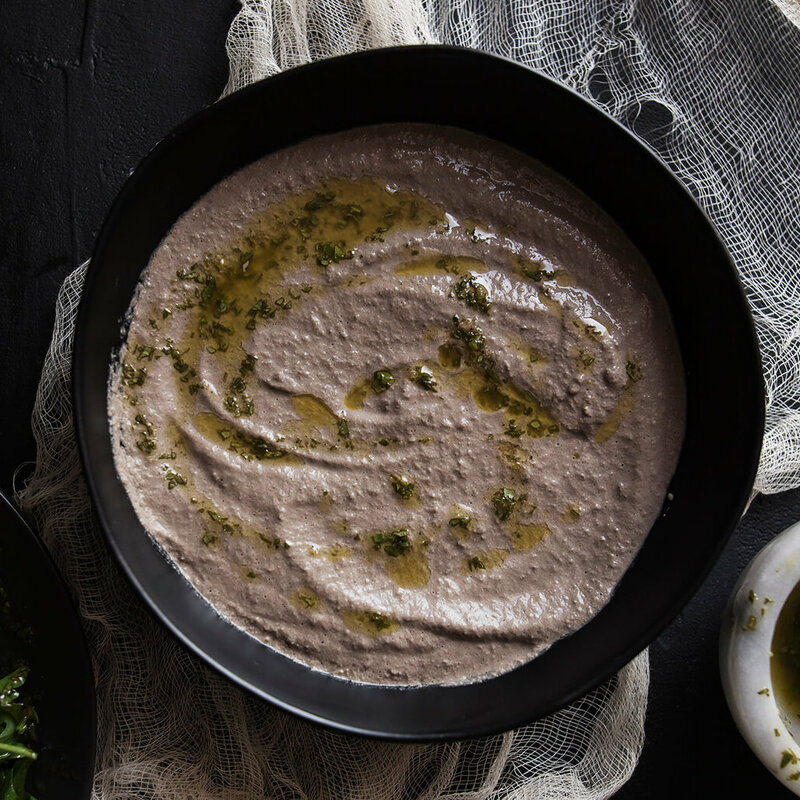 Cut in half and serve with the cilantro dipping sauce. I recommend you use Hass avocados for your guacamole (and other recipes). Hass have a black or dark green pebbly skin and contain more fat (the heart-healthy monounsaturated kind) than the larger, smooth-skinned Florida avocados, which tend to be more watery. Toss the avocado in the remaining tablespoon lemon juice and season with salt. Heat a skillet over high heat. When it is hot, add 1 tablespoon of the avocado oil, reduce heat to medium, and sear the cabbage slice until it is golden brown on one side, about 3 minutes. Flip and brown it on the other side. Season with the pinch of salt, move to a plate, and cover to keep warm. Wipe the skillet clean with a paper towel and return to the stove top. Heat 2 tablespoons of the avocado oil in the skillet over medium heat. Add the onion and brussels sprouts. Sauté until tender, about 3 minutes. Add the remaining 1 tablespoon avocado oil, the kale, and lemon juice, and sauté for another 3 minutes, until the kale is wilted. Season with the 1/4 teaspoon salt. To serve, top the cabbage “steak” with the sautéed vegetables. Add a drizzle of olive oil, if desired. This recipe is very adaptable. Replace the salmon with another wild-caught fish or shellfish, or with pastured chicken. Or use bok choy or Napa cabbage instead of green cabbage. Toss the diced avocado in 1 tablespoon of the lemon juice and season with a pinch of salt. Set aside. Heat a skillet over medium heat. When it is hot, add 2 tablespoons of the avocado oil and the kale, cabbage and onion. Sauté until tender, about 10 minutes, stirring occasionally. Season with 2 more pinches of salt. Using a slotted spatula, remove from the skillet and set aside. 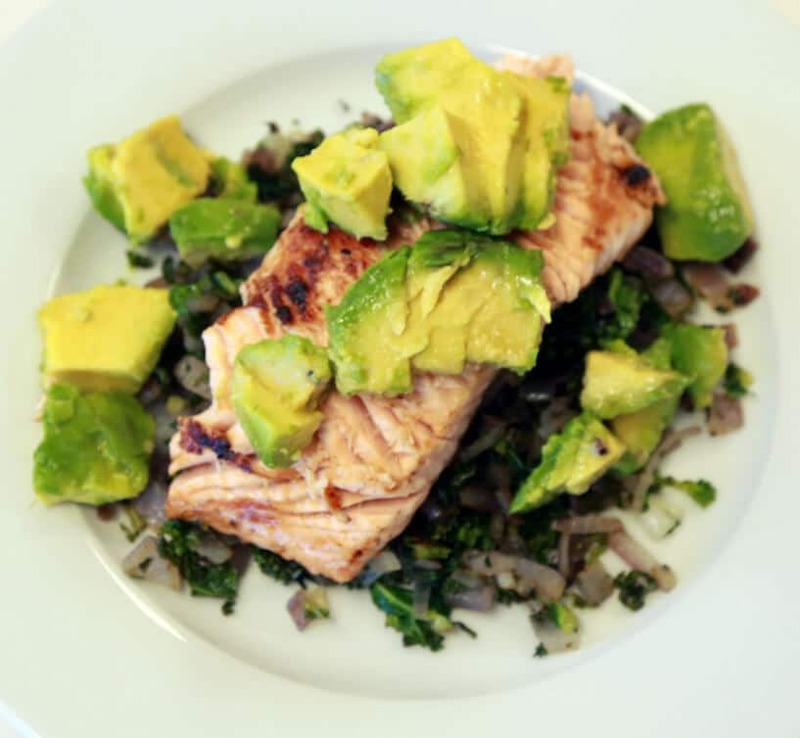 Add the remaining 1 tablespoon avocado oil to the skillet, raise the heat to high, and add the remaining tablespoons lemon juice and the salmon. Sear the salmon, flipping after 3 minutes, until cooked through, about 6 minutes total. Season with the remaining pinch salt. To serve, top the sautéed kale, cabbage and onions with and avocado. VEGAN VERSION: Replace the salmon with grain-free tempeh, hemp tofu, or a cauliflower “steak,” a 1/4-inch-thick cauliflower slice seared over high heat in avocado oil until golden brown on both sides. 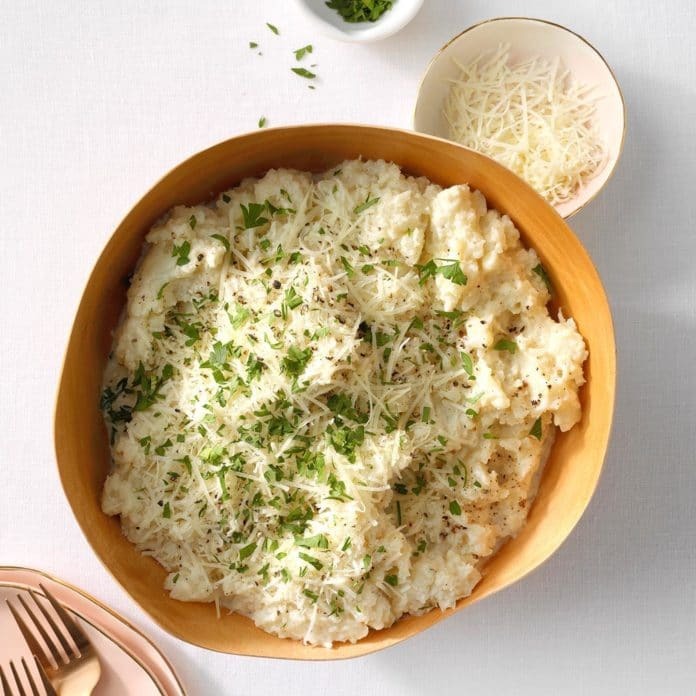 To make cauliflower “rice,” grate the cauliflower with a cheese grater, using the largest holes, into rice-shaped pieces. You can also pulse it in a food processor, using the S-blade, cutting the cauliflower into chunks first and being careful not to over-process it. 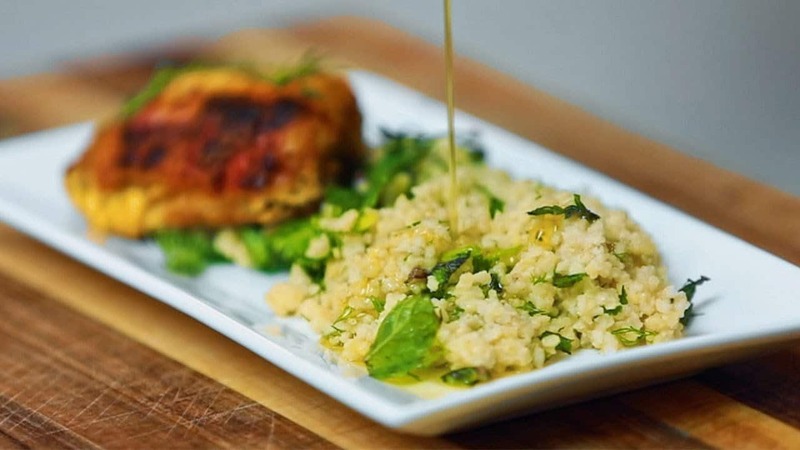 You can also serve the cauliflower “rice” part of this recipe with other main course dishes. Heat the oven to 325°F. Sauté the cauliflower in a medium skillet with 1 tablespoon of the avocado oil, the lemon juice, curry powder, and a pinch of salt until tender, 3 to 5 minutes. Do not let it get mushy by overcooking. 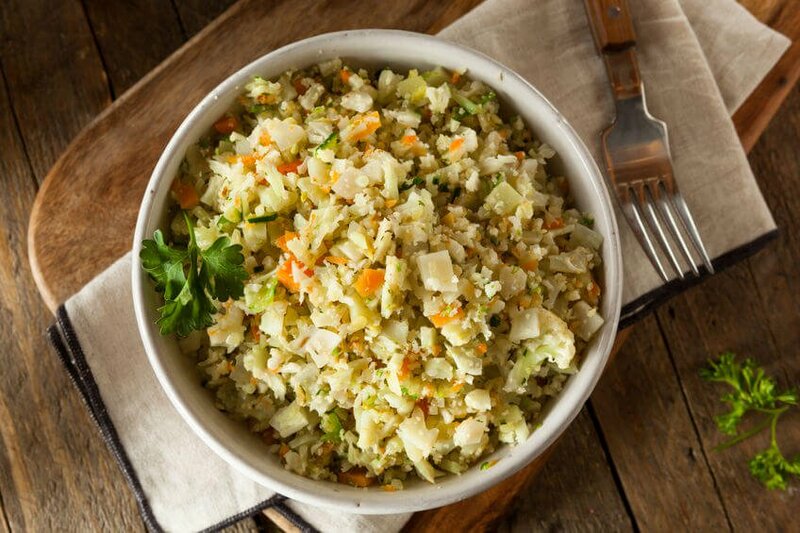 Transfer the cauliflower “rice” to a plate and keep warm. Wipe the skillet clean with a paper towel. Put the broccoli in a Pyrex dish with 1 tablespoon of the avocado oil. Roast in the oven for 15 minutes, stirring twice, until tender. Season with a pinch of salt. Reheat the skillet over medium heat. When it is hot, add the remaining 1/2 tablespoon avocado oil and the sliced onion and sauté until tender, stirring frequently, for about 5 minutes. Season with a pinch of salt. To serve, place the cauliflower “rice” on a plate and top with the broccoli and sauteed onions. 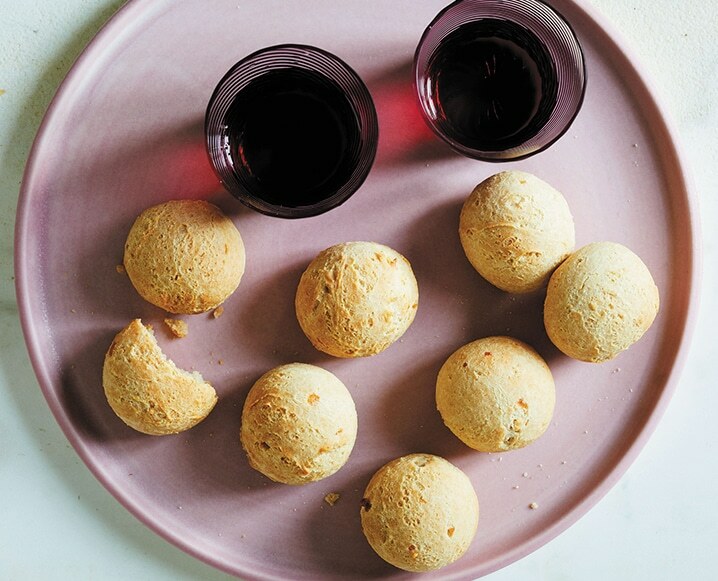 There’s a tiny neighborhood pizza place in Los Angeles that serves the most addictive pão de queijo — a super-flavorful Brazilian cheesy bread that fits the Plant Paradox program perfectly. If you’ve ever made cream puffs, this twice-cooked dough technique may be already familiar to you. It takes a little bit of extra time, but the results are worth it! Arrange two racks in your oven so they’re evenly spaced, and preheat the oven to 450°F. Place the milk, oil and salt in a medium saucepan. Bring to a simmer over medium heat, stirring occasionally. Remove from heat when big bubbles start to form. Add the cassava flour to the saucepan and stir with a wooden spoon until mixture is well combined. A gelatinous dough will begin to form. Keeping the mixer on medium speed, beat the eggs into the cooled mixture one at a time. Wait until the first egg is fully incorporated before adding the second. Scrape down sides of the bowl regularly to ensure consistent mixing. If using cheese, beat it in on medium speed. You’ll end up with a stretchy, sticky dough that’s softer than a cookie dough, but stiffer than a cake batter. Scoop the dough with a small ice cream scoop and place on the baking sheets, spacing them evenly (you should have about 12 per sheet). Dip scoop in a bowl of water between scoops to keep dough from sticking. Place the baking sheets in the oven and reduce heat to 350°F. Bake for 15 minutes, then rotate the baking sheets. Bake for an additional 10 to 15 minutes until bread is golden. Remove from oven and cool for a few minutes before serving. * If you don’t have a stand mixer like a KitchenAid, that’s okay. You can beat this dough by hand, but be prepared for a workout — 10 to 15 minutes of vigorous beating, at least. Breakfast can be one of the toughest meals to change. Fear not, there are plenty of great Plant Paradox breakfast recipes! Is there anything more tantalizing then the sweetly spice flavor of carrot cake? 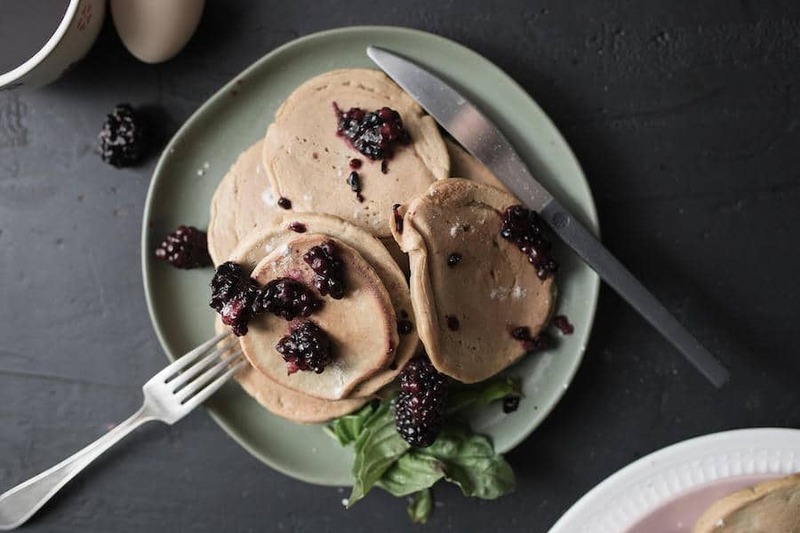 Most versions are full of sugar and butter or canola oil, but this Plant Paradox breakfast recipe is sugar-free and packed with healthy fats. I like to make a big batch of these muffins and freeze half of them—that way, I’ve got a perfect breakfast or snack on hand anytime. Just defrost in the microwave for 30 seconds and enjoy! Preheat the oven to 350°F. Prepare the muffin tin with cupcake liners and set aside. In a large bowl, whisk together the almond flour, coconut flour, baking soda, salt, cinnamon, ginger, and nutmeg. In a small bowl, combine the eggs, oil, coconut milk, Swerve, and vanilla. Whisk what ingredients into dry, then add the grated carrots and walnuts. Portion into the muffin tin, dividing every mixture evenly among 12 cups. Bake for 12 to 18 minutes, or until a toothpick inserted into the center of The muffins comes out clean. Allow my friends to cool slightly before serving. When stored in an airtight container, muffins will stay fresh five days in the refrigerator or three months in the freezer. This tasty breakfast muﬁin takes just minutes to prepare. Double the recipe to make two mufﬁns, and reheat the second mugﬁn the following day to save even more time. You can play with the basic recipe by adding 1 teaspoon cocoa powder, lemon or orange zest, mint leaves, or any other herb or berry to change the ﬂavor and add polyphenols or ﬂavonoids. If you don’t have a microwave, pour the batter into a frying pan and serve it up as a pancake. Place the ingredients in an 8 to 12-ounce microwave-safe mug, mixing well with a fork or spatula. Be sure to scrape the bottom and sides. Let it sit for a few seconds. Microwave on high for 1 minute plus 20-30 Seconds. Using a pot holder, remove the mug from the microwave and invert, shaking out the mufﬁn. Let cool for a couple of minutes before eating. VEGAN VERSION: Replace the egg with a VeganEgg. 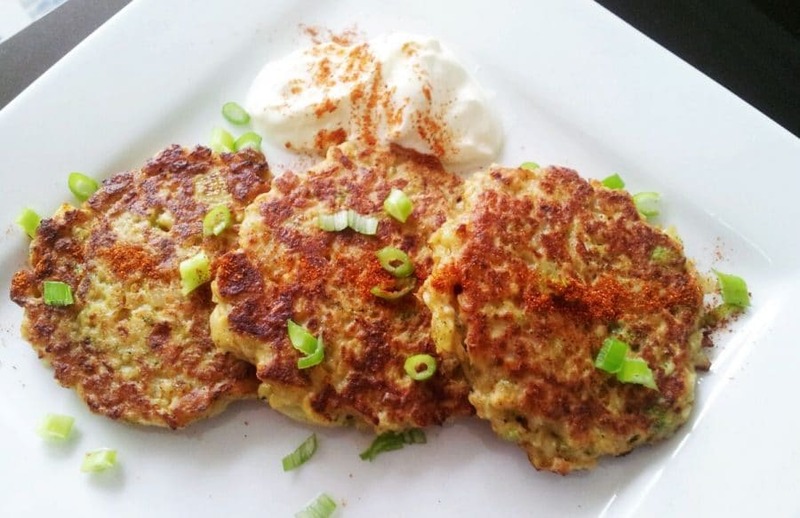 Margo Montelongo posted this recipe on the Plant Paradox online discussion page, using several of Dr. Gundry’s products, plus a green banana, which is a resistant starch. Place the Vital Reds, PrebioThriVe, and Primal Plants powders in a high-powered blender. Add the green banana, coconut oil, Just Like Sugar, coconut milk, water, and ice cubes, and blend on high until smooth and fluffy. 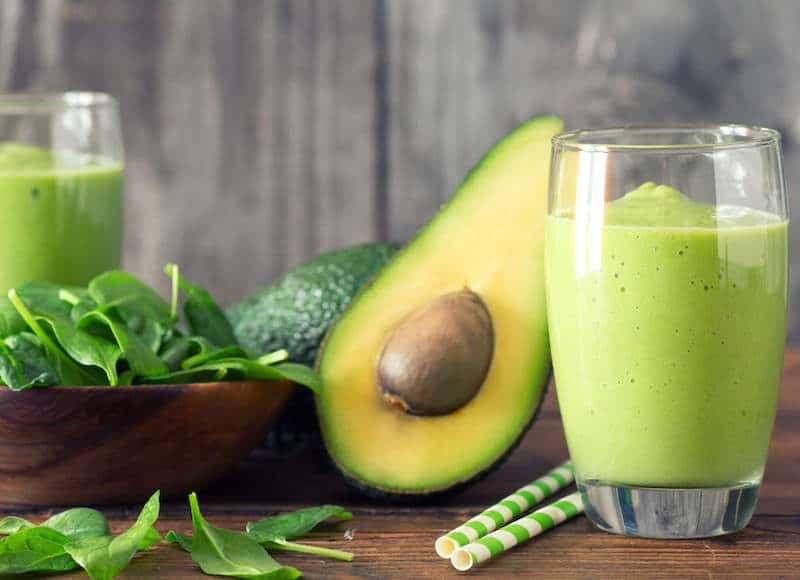 The GundryMD supplements in this smoothie don’t come cheap, but they will supercharge your Plant Paradox experience (and your health!). Here are links to Vital Reds, Primal Plants and PrebioThrive. You may also want to take a look at Lectin Shield, just make sure you don’t add it to your smoothie! Both good sources of Vitamin C, cranberries and oranges have a natural affinity. Most dried cranberries are sweetened with sugar or corn syrup, which you want to avoid at all costs. You can ﬁnd freeze-dried unsweetened cranberries at Trader Joe’s or Whole Foods, or online at Amazon. To make orange zest, use a microplane or the ﬁnest side of a four-sided grater, being careful to avoid the bitter white pith beneath the skin. Heat the oven to 350°F. Line a standard 6-cup muffin tin with paper liners. Place coconut flour, salt, and baking soda in a food processor with a blade. Add the coconut, Just Like Sugar, eggs, and orange zest. Pulse until blended. Remove the processor blade and stir in the cranberries by hand. Scoop the batter into the muffin tins, filling to just beneath the rim. Bake for 20 minutes. Let cool on a rack for 15 minutes before serving. VEGAN VERSION: Replace the eggs with 3 VeganEggs. Grind fresh flaxseeds in a coﬁee grinder or store ground flaxseed in the refrigerator. Fresh flaxseeds have a nutty taste, but they are not the best-tasting ingredient in the world, which explains the generous amount of cinnamon in this recipe. If the taste is actually unpleasant, it means the flaxseed has turned rancid and should be discarded. Place all the ingredients in an 8 to 12-ounce microwave-safe mug, and mix well with a fork or spatula. Be sure to scrape the bottom and sides. Let it sit for a few seconds. Microwave on high for 1 minute. Check and cook for another 5 to 15 seconds if the mufﬁn appears still wet in the center. 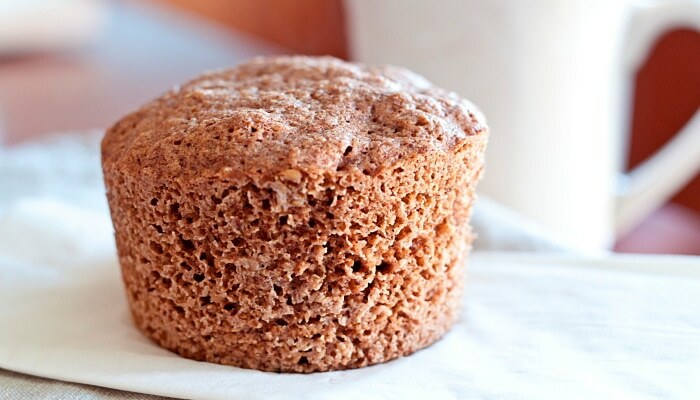 Using a pot holder, remove the mug from the microwave and invert, shaking out the muffin. Let cool for a couple of minutes before eating. Enjoy your meal! I know how challenging breakfast can be when you begin the Plant Paradox Program, but this recipe is so easy, tasty, and portable that you just have to try it! I like to put paper liners in the muffin pans, but they are not essential. Diestel Farms Turkey Italian Sausage or Turkey Chorizo, made from pastured turkey, is available at Whole Foods or other ﬁne markets. Keep leftovers in a covered glass casserole in the fridge or wrapped in wax paper in the freezer. You can reheat frozen muffins in the microwave, on high for 1 minute or until warm/hot to the touch. Or simply carry one to work and it will defrost by lunchtime. Peel off the liner and enjoy! Heat the oven to 350°F. Line a standard-sized cup mufﬁn tin with paper liners. Crumble the sausage or chorizo and put in a non-Teﬂon frying pan. Cook over medium-high heat, stirring frequently, until browned, about 8 to 10 minutes. Set aside. With a sharp knife, poke small holes in the bag of spinach, put in a microwavable bowl, and place in the microwave on high for 3 minutes. Cut a tiny edge off the corner of the bag, and squeeze as much water out of the bag as possible. Place the drained spinach, eggs, olive oil, garlic, Italian seasoning, onion, salt, and pepper in a high-speed blender and pulse blend for about 1 minute, or until thoroughly mixed. Transfer to a large bowl and stir in the sausage until well mixed. 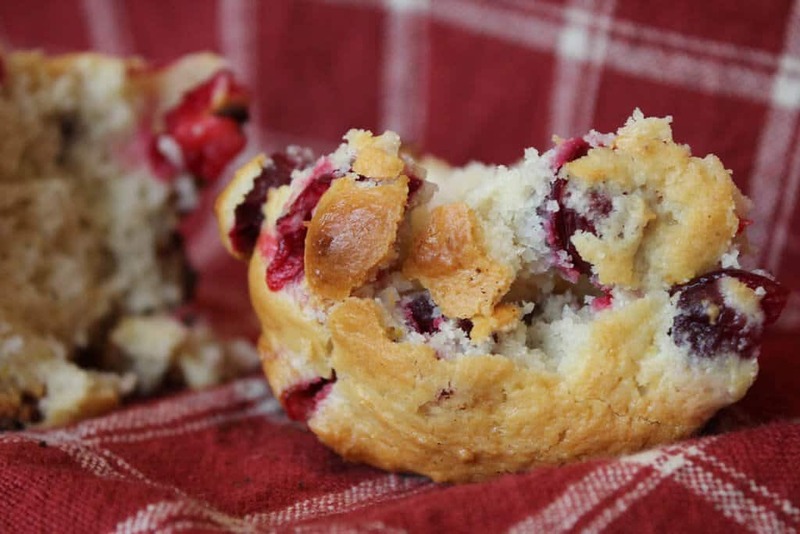 Fill the muffin tins to just beneath the rim. Bake for 30 to 35 minutes, until the tops start to brown. Remove from the oven and let cool before removing individual mufﬁns from the liner. VEGETARIAN VERSION: Substitute Quorn Grounds for the sausage. There is no need to fry them. Instead, brieﬂy defrost and add to the spinach mix with 1 teaspoon fennel seeds. VEGAN VERSION: Replace the eggs With 5 VeganEggs; substitute 1 block of tempeh, coarsely chopped, for the sausage, adding 1 teaspoon fennel seeds. A close cousin of the much sweeter banana, plantains are a good source of resistant starch, which your gut bugs thrive on. Vanilla enhances the ﬂavors of the other ingredients. Be careful on vanilla extract products that use artificial flavoring which you should avoid at all costs. I prefer to use Whole Foods organic vanilla 365 extract, which is pricier than conventional products, but because you use very little in each recipe, it goes a long way. Place the plantain pieces in a blender or food processor and purée. You should have about 2 cups. Add the eggs and blend to form a smooth batter. Add the vanilla extract, 3 tablespoons of melted coconut oil, Just Like Sugar, the salt, and baking soda. Process on high for 2 to 3 minutes, until smooth. Heat 1 tablespoon coconut oil in a pan or griddle over medium heat. When the oil shimmers, ﬁll a 1/2 cup measure with batter and pour into the pan. Repeat for two to three more pancakes. Cook 4 to 5 minutes, until the top looks fairly dry and has little bubbles. Flip and cook 1 1/2 to 2 minutes more. Repeat with remaining batter, adding more oil as needed. VEGAN VERSION: Replace the eggs with 4, VeganEggs. 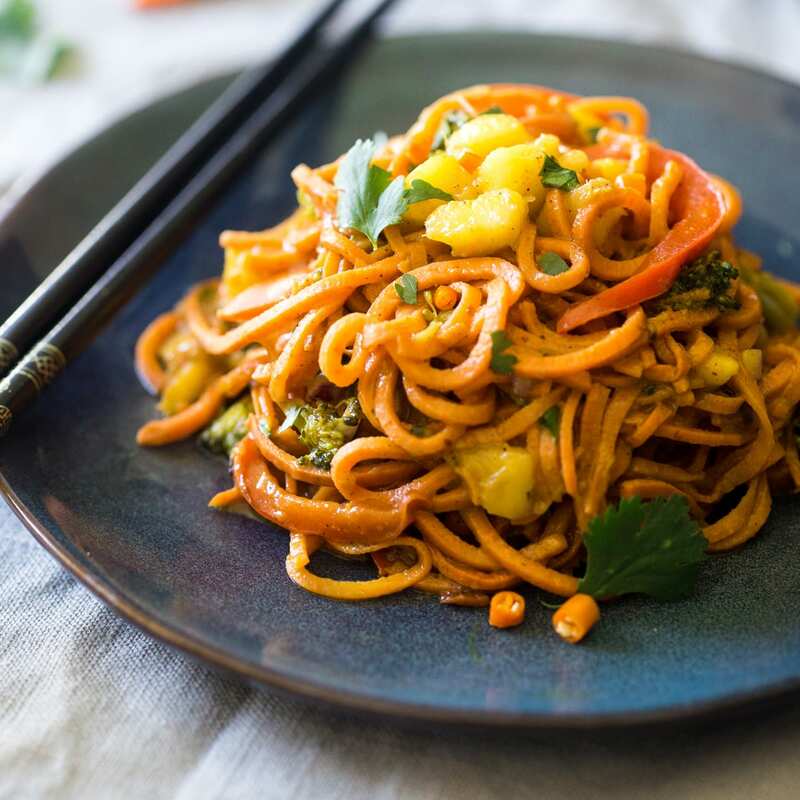 I’ve modified this great recipe by blogger Heather Resler, after meeting with my good friends at Vital Proteins to get some help for vegetarians like me (and hopefully you). Have it for breakfast, lunch, or dinner. The folks at Vital Proteins have come up with marine collagen from wild salmon that just blows me away! It has no ﬁshy taste or any taste–repeat, none. Have it for breakfast, lunch, or dinner. The marine collagen adds fish protein. If necessary, melt the coconut oil in the microwave on high for 30 seconds or set into a bowl of hot water until melted. Heat a wafﬂe iron. Place the eggs, marine collagen, if desired, cassava ﬂour, coconut oil, honey, baking soda, and salt in a high-powered blender or regular blender and mix on high for 45 seconds or until well blended and slightly foamy. 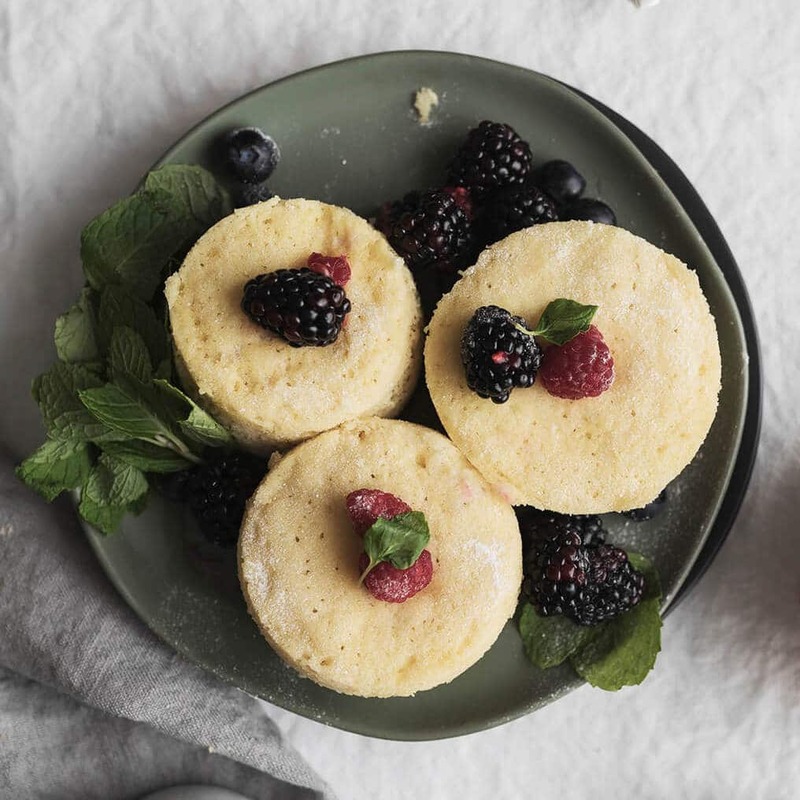 If you don’t have a blender, whisk the eggs, coconut oil, marine collagen, and honey until well blended, and then whisk or stir in the cassava ﬂour, baking soda, and salt. 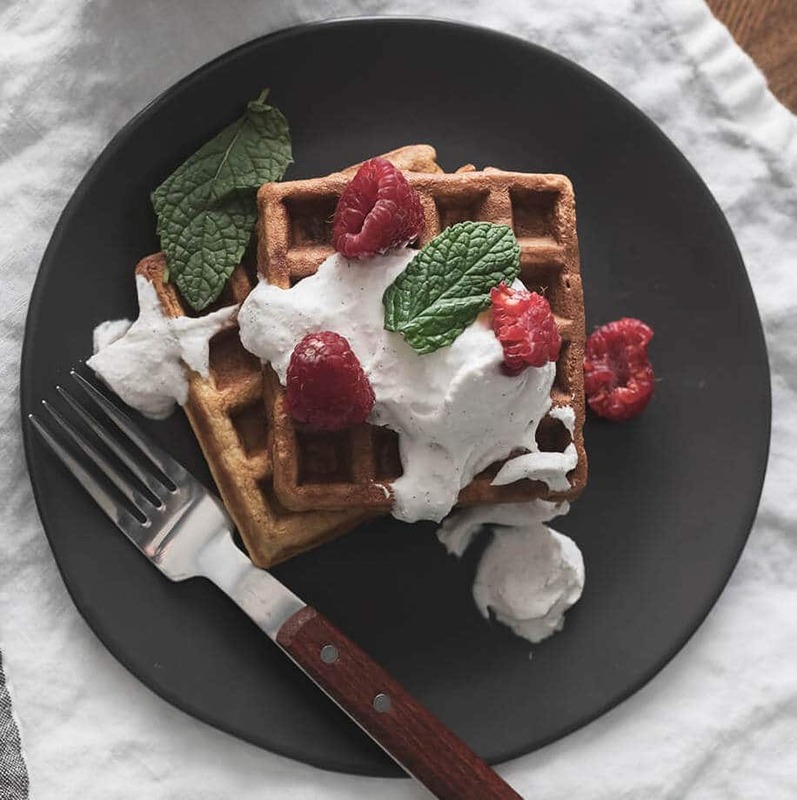 Using a 1/4 cup measure, ladle batter into the wafﬂe iron and cook, following the manufacturer’s instructions. Check periodically, since they cook quickly. If serving as a dessert (phase 3 only), you may want to sprinkle a light coating of Just like Sugar and add 1/4 cup wild blueberries on top of each wafﬂe. But always remember, it is best to retreat from sweet! VEGAN VERSION: Replace the eggs with 4, VeganEggs and omit the collagen. VEGETARIAN VERSION: Omit the collagen. This gem of a recipe somehow didn’t make into either of Dr. Gundry’s books, but it is Plant Paradox compliant. Must try for anyone who likes blueberry pancakes (and who doesn’t!). When you need a little crunch in your life, these crispy wafers fit the bill. Use them as chips with guacamole or as an accompaniment to scrambled eggs, soup, or a salad, or simply with a small piece of acceptable cheese. You can also experiment with different herbs if you wish. Heat the oven to 350°F. Whisk the eggs and water together in a small bowl. In a medium bowl, mix the almond ﬂour, coconut ﬂour, and salt, adding the Italian seasoning, if desired. Add the egg mixture to the ﬂour mixture and blend well with a spoon or spatula, eliminating any lumps. Form into small balls about the size of a large marble, place on a cookie sheet, press ﬂat with the back of a fork, and bake for about 20 minutes, until crisp. Let cool on a baking rack before serving. Every patient who visits Dr. Gundry’s office to give blood is rewarded with 1/4 cup of his nut mix to munch on. Based on copious data that nuts protect your heart, brain, and overall health, this mix has been a part of the Plant Paradox program since its inception. We now know that the resistant starches in nuts are just what your gut buddies have been asking for! This is why they have the remarkable ability to make you feel full and satisﬁed for hours. My recipe originally contained peanuts and pumpkin seeds, but after seeing the effects of their lectins in a number of my patients, we modiﬁed the original mix about ten years ago to make it Plant Paradox friendly. Nuts are good for you, but only in moderation. Put them in snack bags in 1/4 cup servings, or ladle them out with a 1/4 cup measure. My personal favorite snack is protein bars. I love the easy nutrition and convenience. But finding a healthy, lectin-free protein bar was not easy, especially since I didn’t like the Quest, Adapt and B-Up Bars Dr. Gundry was recommending. 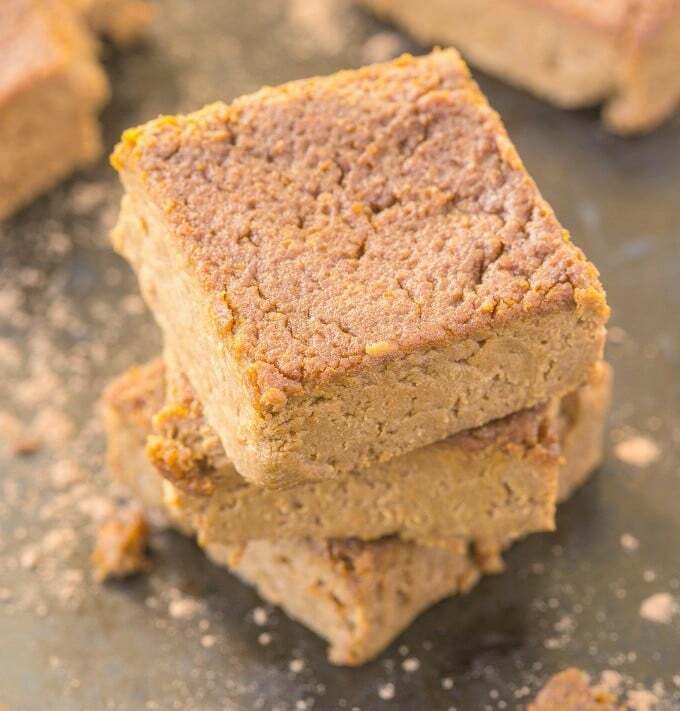 I scoured the Internet and looked at hundreds of bars (no, really), and finally happened upon MariGold Bars, which I believe is the best bar available (especially if you’re lectin-free). Watch the video below to learn more, or read the deep-dive article here. 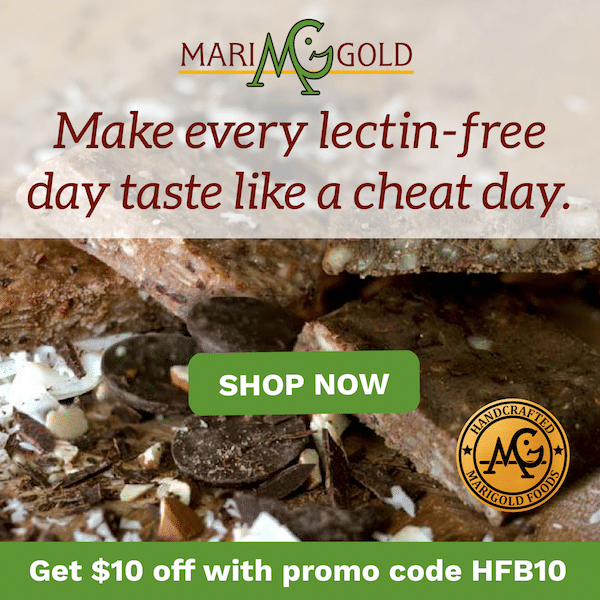 I highly recommend starting with MariGold’s lectin-free sampler pack, which includes eight delicious lectin-free flavors. Use promo code HFB10 at checkout to get $10 off! Get your caffeine ﬁx with this delicious treat. Place the ingredients in a blender or Magic Bullet and blend for about 30 seconds. Pour into a mug and serve. Diet Coke, Diet Pepsi, Diet Dr. Pepper, Diet Root Beer, or diet whatever kills your gut buddies, but my surefire replacement is the color of your old cola and is similarly fizzy. The balsamic vinegar contains resveratrol, one of the most powerful polyphenol compounds, which does wonders for you–and the inner you. Napa Valley Naturals Grand Reserve is my favorite balsamic vinegar, for its thick consistency and very smooth depth of ﬂavor. Once you’ve tried this spritzer, you’ll never go back to cola! San Pellegrino is my sparking water of choice. Unlike most carbonated waters, it has a balanced pH. San Pellegrino also contains the highest sulfur content of any leading brand. Combine the sparkling water and balsamic in a glass, stir, and enjoy this life-giving drink! 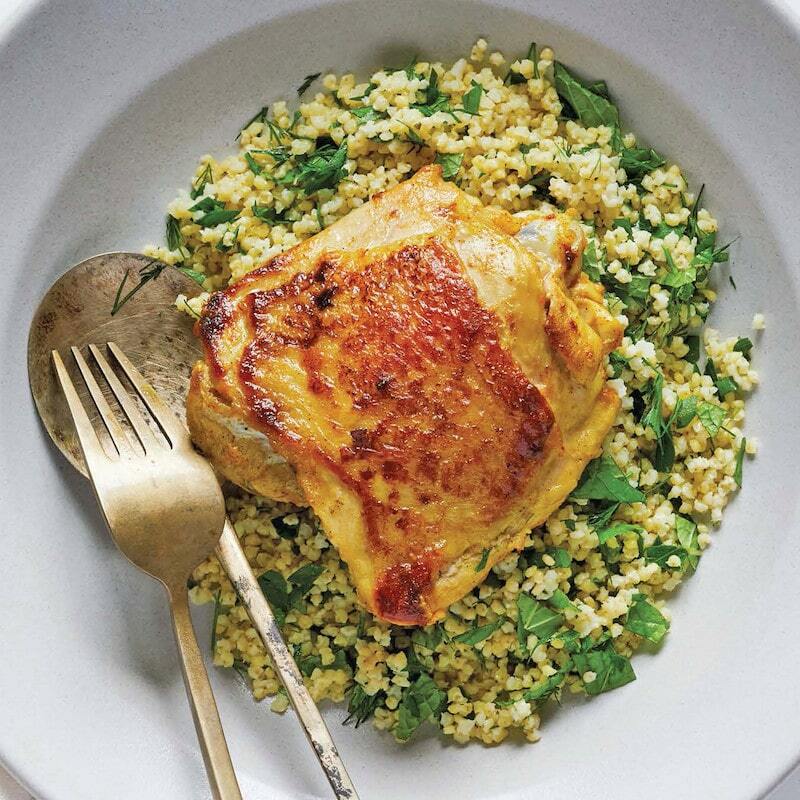 The Plant Paradox diet is loaded with tasty recipes that are great for lunch and dinner. Get cooking, and enjoy! Pasta sauce without tomatoes? Sure, if it’s a rich, highly seasoned root vegetable sauce. When I make this dish for myself, I use about five times the garlic, but I’m an addict! If you’re hooked on garlic like me, try using a whole head instead of just a couple cloves. Preheat the oven to 375°. Spray a 9 × 13-inch baking dish with oil, and set aside. First, make your sauce: Heat olive oil in a large saucepan over medium-high heat. Add the onion, and cook 2 to 3 minutes, until translucent. Add the parsnips, celery root and rutabaga or turnips, as well as rosemary and garlic, and cook for 15 to 20 minutes, stirring frequently, until vegetables are tender. Add the salt and pepper and blend using an immersion blender (or transfer to a blender), and process until smooth. Sauce should be consistency of thick tomato sauce. If too thick, add water, a little at a time. Whisk in coconut milk and set aside. In a large bowl, combine the ricotta or coconut yogurt, oregano, lemon zest and juice, basil and the eggs. Set aside. 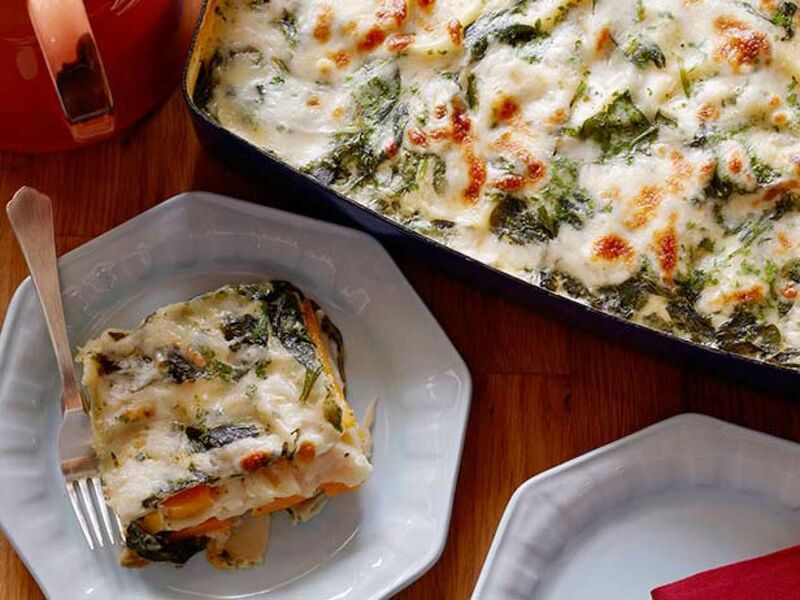 Spoon half a cup of the root veggie sauce into the base of your baking dish, and layer on one layer of the thin sliced sweet potato “noodles.” Top with half a cup of the ricotta mixture, then repeat until pan is full. (It will take three or four layers.) Sprinkle the top of the lasagna with the Parmigiano-Reggiano, and cover the pan with foil. Bake for 35 to 40 minutes, then remove foil and bake for an additional 15 minutes, until cheese is golden brown. Remove from heat and let rest 10 minutes before serving. Celery root, AKA celeriac, is a strong contender for the world ’s ugliest vegetable, but it makes up for its looks in taste. Plus tubers and roots of any kind make your gut buddies jump for joy. My challenge is to get you to eat these foods. 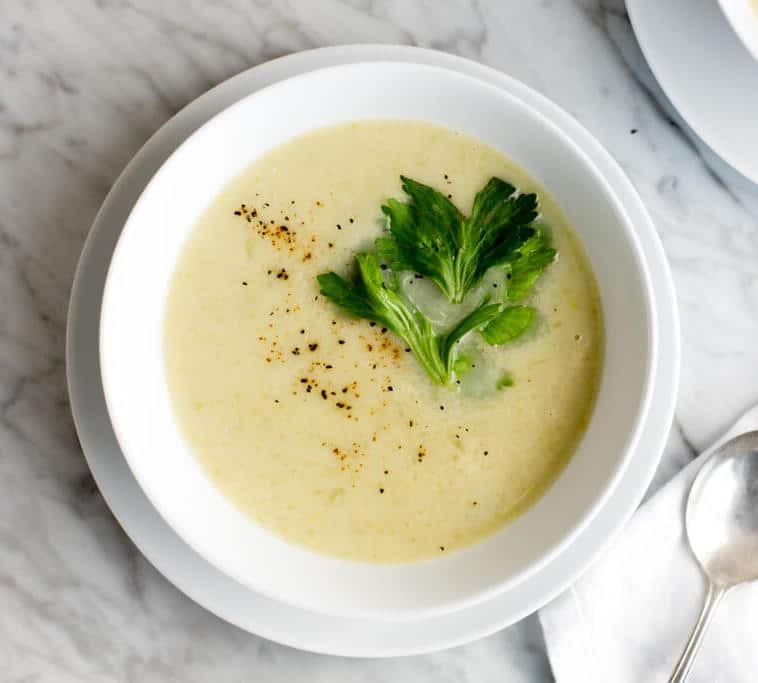 Everyone enjoys a hearty soup, but unfortunately, most creamy soups rely on cream, ﬂour, and potatoes as thickening agents. Here’s my take on Food & Wine’s spotlight on chef Julianne Jones’s recipe for Celeriac Soup. Note that it’s suitable for vegans. To prepare the celeriac, slice off the rough knobby portions with a knife or vegetable peeler. In a large dutch oven or heavy saucepan, heat the 3 tablespoons of olive oil over medium heat. Add the chopped celery root, celery, onion, rosemary, salt, and pepper, and cook for about 5 minutes, until the celery root and celery start to soften and brown a bit. Add the broth and lemon, and bring to a boil. Reduce the heat, cover, and simmer for 30 minutes. Stir occasionally and check to see when the celery root is tender. Once it is, remove from heat. Transfer about half of the mixture to a high-speed blender and blend on the purée or soup setting until smooth and creamy. Repeat with the rest of the mixture and then reheat the whole batch in the dutch oven for about 5 minutes. To serve, pour into serving bowls and garnish with parsley. Drizzle 1 tablespoon olive oil over each bowl, if desired. Sorghum is used to make molasses, but the fact that it’s a resistant starch is not well known. Unlike all other grains except millet, sorghum has no hull, meaning no lectins. What it does have is a cornucopia of polyphenols and anticancer properties. And it tastes great to boot! Sorghum‘s good for when you have an hour or so to spare, and freeze or refrigerate portions for later use. It never, ever goes mushy. 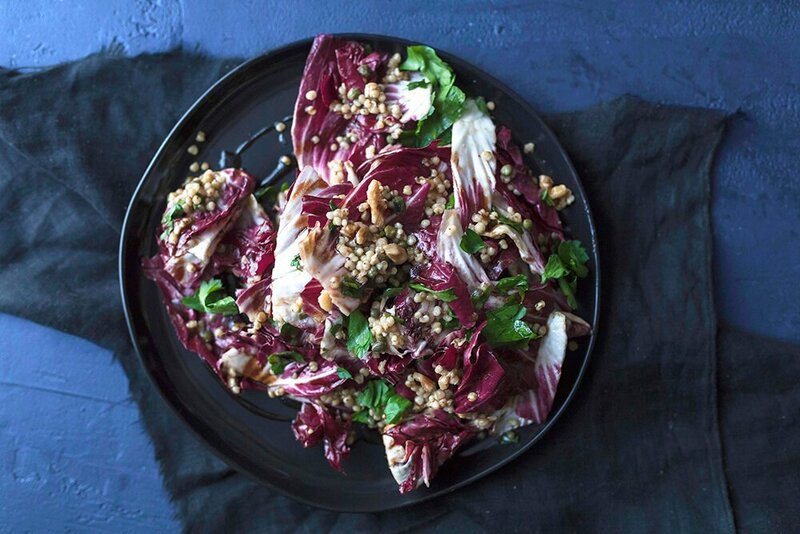 Combine it with one of the greatest sources of inulin, radicchio (it is sometimes called Italian red lettuce, but it is really part of the chicory family), and some nuts, and you and your gut bugs will be ready for anything! Perilla, macadamia, or avocado oil can be substituted for the olive oil. MAKE THE SORGHUM. Pick through the sorghum, rinse, and discard any debris. Put the broth or water and oil in a medium saucepan, and bring to a boil. Stir in the sorghum and return to a boil. Reduce the heat to a simmer, cover, and cook for 1 to 2 hours, stirring every 15 minutes and adding broth or water as needed to keep it from drying out or sticking to the pan. To test for doneness, stir with a fork: the sorghum is done when it is light and ﬂuffy. You can make the recipe ahead of time up to this point. Refrigerate or freeze the cooked sorghum, and then thaw and let it come to room temperature when you want to use it. Alternatively, finish the dish immediately if you plan to serve while the sorghum is warm. MAKE THE DRESSING. Using a Magic Bullet blender or a mini food processor ﬁtted with an S-blade, combine the vinegar, olive oil, capers, coriander, and garlic and process until smooth. TO SERVE. Mix the prepared sorghum, nuts, radicchio, and parsley in a large bowl. Add the dressing and toss to combine. Serve on dinner plates. I am mixing metaphors a bit with this dish—a little Moroccan inspired, a little Middle Eastern inspired. But the thing is, the flavors taste delicious together. This twist on classic tabbouleh is wonderful he paired with grilled seafood, meat, or tempeh, and it’s great on its own too! Preheat the oven to 375°F, prepare a broiler pan or a sheet tray with wire rack by spring with oil. Set aside. Make the tabouleh: combine all ingredients in a large bowl, and stir well. Let the flavors meld for at least 20 minutes (which is perfect, since you need that time to cook the chicken). Remove chicken of bread and parentheses or tempeh) for marinade, pat dry with paper towels, and the range on the prepared baking sheet. If your chicken has skin, place it’s going down. 165°F and skin is crisp. Remove from heat, and left rest five minutes before serving. If using tempeh: bake for 12 to 15 minutes, flipping occasionally, until crispy. Remove from heat and serve immediately. To make it vegetarian, use about a pound of tempeh, cut into thick slices. When my wife and I want comfort food, our thoughts turn to a hearty mushroom soup—but instead of waiting for several hours, we want it right away! We love raw food, but sometimes it just needs to be warmed. After years of raw eating, we have come up with a medley of mushroom soups. This one is the easiest and our best yet. 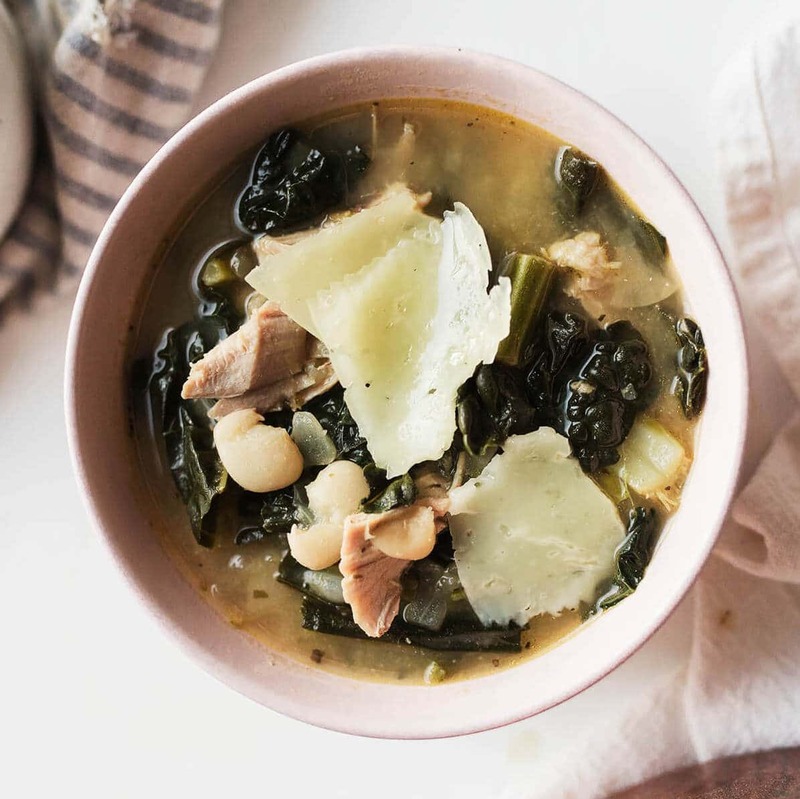 With a side salad, this soup makes a full meal. Choose your favorite mushroom—button, cremini, morels, chanterelles, shiitake, or portabella—or mix them up. Your gut buddies adore all mushrooms! Truffle oil is optional, but I highly recommend it. Chop 1/2 cup of the mushrooms and set aside. Place the remaining 2 cups mushrooms, the water, walnuts, onions, salt, pepper, and thyme in a food processor ﬁtted with the S-blade or in a high-speed blender. Pulse for 30 seconds, and then blend for 2 minutes. Check for temperature–it should be warm but not hot. If you prefer, blend on high for another minute or longer, until it gets hotter. I pour or spoon the soup into two bowls. It should be thick and gravy-like. Top with the chopped mushrooms, drizzle with the truffle oil, if desired, and serve. Riced cauliﬂower makes up the crust in this delicious pizza. To rice cauliﬂower, chop it evenly but do not completely pulverize it. You can grate the cauliﬂower with a cheese grater, using the largest holes, into rice shaped pieces. Or pulse it in a food processor, using the 8-blade and being careful not to overprocess it. If you use a food processor, cut the cauliﬂower into chunks ﬁrst. You’ll need to extract as much water from the cooked riced cauliﬂower as possible. (It may yield as much as 1 cup liquid.) Unless the cauliﬂower is completely dry, the pizza “dough” will be mushy. Goat milk mozzarella is available from Amazon and other online sources. Feel free to add some other lectin-free vegetables but don’t overload the pizza crust with more veggies than it can support. Rinse the cauliﬂower. 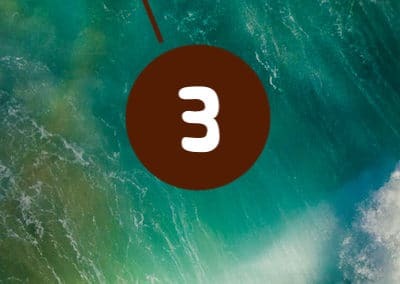 You will have approximately 3 cups. Transfer to a microwave-safe dish and microwave on high for 8 minutes, until cooked. Allow to cool, stirring occasionally. Place a rack in the middle of the oven. Heat the oven to 450°F. Grease a 10-inch ovenproof frying pan with olive oil. Place the cooled riced cauliﬂower in a dishtowel, and twist and squeeze to remove all the moisture. Transfer to a mixing bowl. Add the egg, mozzarella, salt, pepper, and oregano. Mix well. Press the mixture evenly in the frying pan over medium heat on the stove top, crisp the cauliﬂower crust for a few minutes. Transfer to the oven and bake for 15 minutes, until golden. Let cool for 5 minutes, and add the topping. Scatter the mozzarella evenly over the pizza base and spread the spinach. Add any additional vegetables. Sprinkle with the Pecorino Romano cheese and add a pinch of salt. Bake for an additional 10 minutes, until the cheese has melted. VEGAN VERSION: Replace the egg with 1 VeganEgg and use Kite Hill Ricotta “cheese” in lieu of the cheeses. Probably the ﬁrst thought that went through your head when you realized you were omitting wheat ﬂour, tomatoes, and cow milk cheese was I can’t live without pizza! In fact, you can live better without it, but I feel your pain. Here is a replacement that I cooked up over my wife Penny’s initial objections, but it is now her favorite way to have pizza. While you make your own pesto here, honestly, the one that comes closest to the true pesto of Liguria is Kirkland ‘s refrigerated pesto, sold at Costco, which uses only Ligurian basil. So feel free to substitute that. Save or freeze the portabella mushroom stems for “Raw” Mushroom Soup. MAKE THE PESTO. In a mini food processor, pulse the basil, olive oil, pine nuts, and cheese until well blended. MAKE THE “PIZZAS.” Set one burner of a gas grill to high or place a grill pan on the stove with burner set to medium-high heat with the exhaust fan on. Rub the cap side of the mushrooms with oil, place on the grill or grill pan, cap side up, and grill for about 5 minutes, until the caps begin to brown slightly. Flip over and grill, gill side up, for another 5 minutes. Remove the mushrooms from the grill or burner. Leave the heat on. Spoon 3 tablespoons of pesto onto the gill side of one mushroom, add 1 slice prosciutto, arranging it to fit neatly in the gill cup, and then top with half the mozzarella slices. Repeat with the other mushroom. If cooking on a grill, return the mushrooms to the grill, close the hood, and grill until the cheese begins to melt, about 5 minutes. If cooking indoors, return the grill pan to the stove top for about 5 minutes; alternatively, cover the grill pan with a glass casserole cover to “steam” for 5 minutes. TO SERVE. Season to taste with salt and pepper. VEGETARIAN VERSION: Omit the prosciutto. VEGAN VERSION: In making the pesto, substitute 1 tablespoon nutritional yeast for the Parmigiano Reggiano. 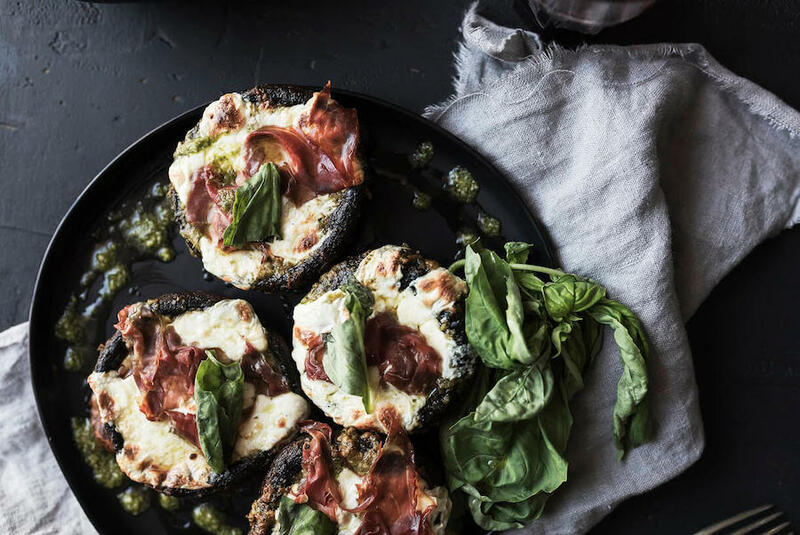 In making the “pizzas,” replace the mozzarella with Kite Hill Ricotta “cheese.” Top the grilled mushrooms with this pesto, then Spoon scoops of the ricotta over pesto and follow final grilling directions above. 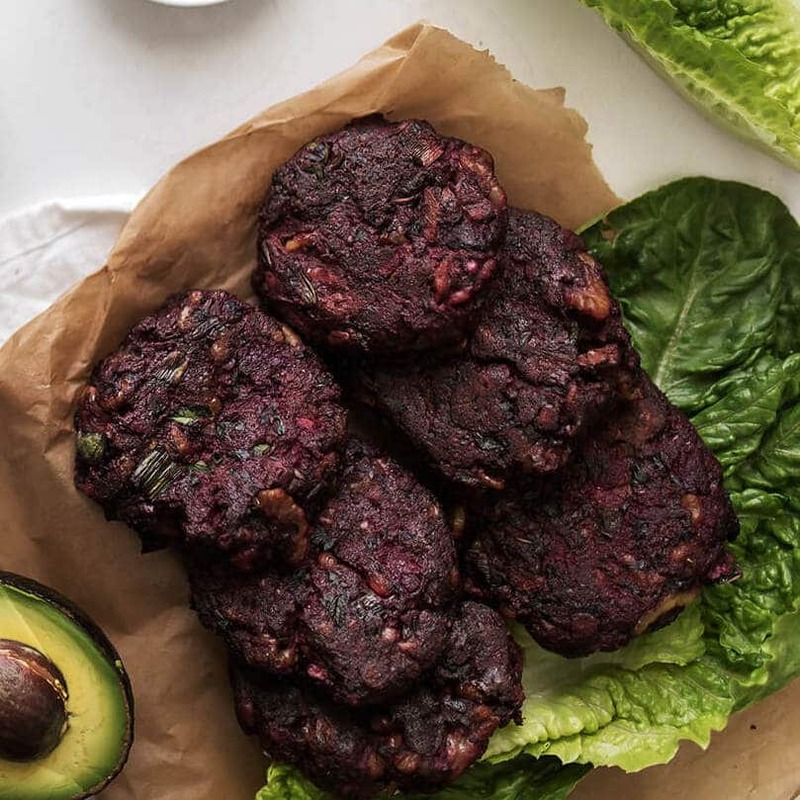 You have probably heard about the new veggie burger that bleeds “blood.” Sounds good until you read the list of ingredients, which read like a who’s who of lectins. My wife and I make raw taco “meat” with walnuts and mushrooms, so I decided to do a “bloody burger” using my taco recipe and adding red beets for the crimson hue. Pick a beet about the size of a baseball. Use any kind of mushroom, but portabella or cremini have a meatier texture. Lettuce leaves stand in for “buns” (here in California, we call a burger served this way “protein style”). Then enjoy your meaty, red-tinged burger minus the meat. For you die-hard carnivores, I’ve added a real meat version. Put the walnuts, mushrooms, beet, garlic, 1/4 cup of the onion, paprika, dried parsley, 1/4. teaspoon salt, and 1/4 teaspoon pepper in a food processor fitted with the S-blade. Pulse and blend until blended but still chunky. Transfer this mixture to a mixing bowl and stir in the basil, the remaining 1/4 cup onion, and the ﬂour. Grease your hands with olive oil and knead the mixture to fully combine ingredients. On a sheet of wax paper, form into four patties, each about 4 inches in diameter and 1 inch thick. Use a coffee mug or lowball glass to shape the patties, if you wish. Heat a large skillet over medium–high heat. Pour in 3 tablespoons of olive or avocado oil. Add the patties, cooking 4 to 5 minutes per side, until nicely browned. To serve, place each patty on a lettuce leaf, add a dollop of avocado mayo, if desired, add salt and pepper to taste, top with slices of avocado, and cover with a second lettuce leaf. MEAT VERSION: Add 1/2 pound of grass-fed ground beef or pastured chicken or turkey to the mixing bowl before forming into patties. My best friend Jimmy Schmidt, the James Beard Award-winning chef at Morgan’s in the Desert at the La Quinta Resort and Club, invented this recipe, which I have modiﬁed ever so slightly for the Plant Paradox Program. This dish is a great accompaniment to salmon or another fish. Heat the oven to 400°F. Place the cauliﬂower ﬂorets in a large bowl, add the olive oil, and toss to coat well, seasoning generously with sea salt and black pepper. Lay a large sheet of aluminum foil, shiny side up, on the countertop. Fold in half and then reopen the foil. Transfer the cauliﬂower to the center of one half of the foil. Fold over the other half and crimp the edges to seal the packet. Place on a cookie sheet and position on the middle rack of the oven. Cook until very tender and slightly browned, about 1 hour. Remove from the over. Open the pouch carefully—do not let any juice flow out–and cool for about 10 minutes. Transfer the cauliﬂower and its liquid to a food processor. Add the butter, if desired, and the Parmesan. Purée until smooth and thickened. Season with salt and pepper to taste. Serve immediately. 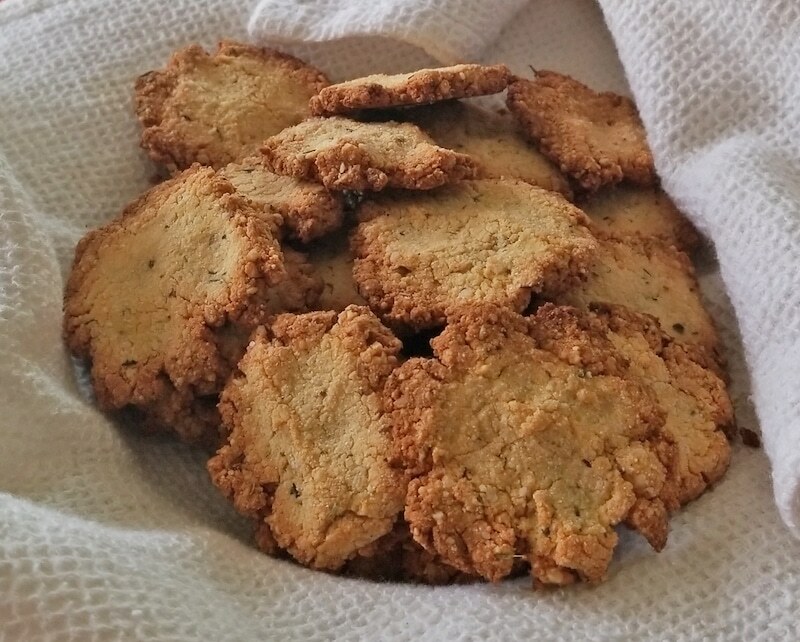 These tasty fritters were inspired by a recipe from Sylvia Shirazi on her food blog Gourmande In the Kitchen. Where Sylvie uses broccoli, I use cauliflowe, rThis is an exciting introduction to cauliflower for people who think they hate it, or another tasty way for cauliflower addicts to get their fix. In the work bowl of a food processor fitted with an S-blade, pulse the cauliflower, eggs, yogurt, green onion, parsley, mint, and garlic until finally crumbled and well combined. Let the mixture rest for five minutes – the perfect opportunity to make the yogurt sauce. Whisk together the yogurt, olive oil, tahini, lemon juice, paprika, and sea salt. Set aside until ready to serve. Heat the coconut oil in a medium skillet over medium heat. Spoon a tablespoon of batter in the pan. Flatten with the back of a spoon or spatula until approximately further shapes. Look For two minutes per side, flipping carefully. Do you know more than three or four fritters at a time to prevent the pan from crowding. Cook in batches until all the batter is used. Serve the fritters fresh out of the skillet with the yogurt sauce on the side. I am a frequent visitor to the tiny villages of Tuscany. In every town, beans cooked in deep glass ﬂasks are a popular side dish, and one I cannot resist. I usually paid dearly later in the day when the “attack of the lectins” began, as did my wife, trapped in the car with me moaning. However, with the arrival of my pressure cooker, I can now have my beans and eat them, too–plus my gut buddies get the beneﬁts of beans. I modiﬁed this terrifﬁc recipe from one by the queen of pressure cooking, Lorna Sass, to make it even easier. Vegans and vegetarians can try the variations given below in Phase 2, but omnivores should hold off until Phase 3. Slice the leaves off the stems of the kale. Chop the stems and chop the leaves into larger pieces. Set aside. If your pressure cooker has a saute feature, sauté the onions and the garlic in the oil for about 5 minutes. Alternatively, sauté them in a non-Teflon frying pan or wok over medium-heat. Transfer the garlic and onions to the pressure cooker. Add the vegetable stock and water. Add the beans, Italian seasoning, and turkey thigh. Cook at high pressure for 14 minutes, then allow the pressure to come down naturally. Remove the turkey, and stir in the kale leaves, mustard, sage, and salt and pepper to taste. Shred the turkey and return to the pot. Stir until well blended, and ladle into serving bowls. Drizzle each serving with a tablespoon of olive oil or truffle oil. VEGETARIAN VERSION: Replace the turkey with 1/2 package thawed Quorn Grounds. Vegans and vegetarians can consume pressure-cooked legumes in Phase 2. I am one of the world’s experts on the dietary treatment of the ApoE4 gene, which 30 percent of all people carry. It is unfortunately named the Alzheimer’s gene, because of its strong association with that disease. Nigerians have the highest proportion of this gene in their population, but they have a very low incidence of dementia, a fact often attributed to their mostly plant-based diet. Their grain of choice is millet, sometimes called birdseed, which is free of lectins. I have spent the last ﬁfteen years formulating user-friendly vegetarian recipes for the large population with the ApoE4 gene, and I wanted to share some of that with you–so here is a great way to consume millet without having to raid your bird feeder! With a salad, three patties make a complete meal. In a large dry saucepan, toast the millet over medium heat for about 5 minutes, stirring or shaking frequently, until golden brown and fragrant. Do not burn. Slowly add the vegetable stock and salt, being careful not to get burned from the rising steam. Stir and bring to boil. Lower the heat to simmer, cover the pan, and cook for about 15 minutes, until all the water is absorbed. Remove from the heat and let stand covered for 10 minutes, then fluff with a fork. Meanwhile, place the onion, carrots, basil, mushrooms, garlic, and Italian seasoning in a food processor ﬁtted with the S-blade and pulse into fine pieces. Place 1 tablespoon of the oil in a large skillet over medium heat, add the vegetable mixture, and sauté for 3 to 4, minutes, until tender. Transfer to a large bowl. Wipe the skillet clean with a paper towel. Add the millet, beaten egg, and coconut ﬂour to the mixing bowl. Stir to combine and thicken. With greased hands, form the mixture into 2-inch balls, and then press down with the palm of your hand to form into 12 patties. Add the remaining 1 tablespoon oil to the skillet. Add the patties and sauté over medium heat for 5 minutes per side. Drain on a paper-towel-covered plate before serving. VEGAN VERSION: Replace the egg with 1 VeganEgg. Heat the oven to 350°F. On a baking sheet, toast the nuts for 10 to 12 minutes, tossing occasionally, until golden brown. Cool and coarsely chop. 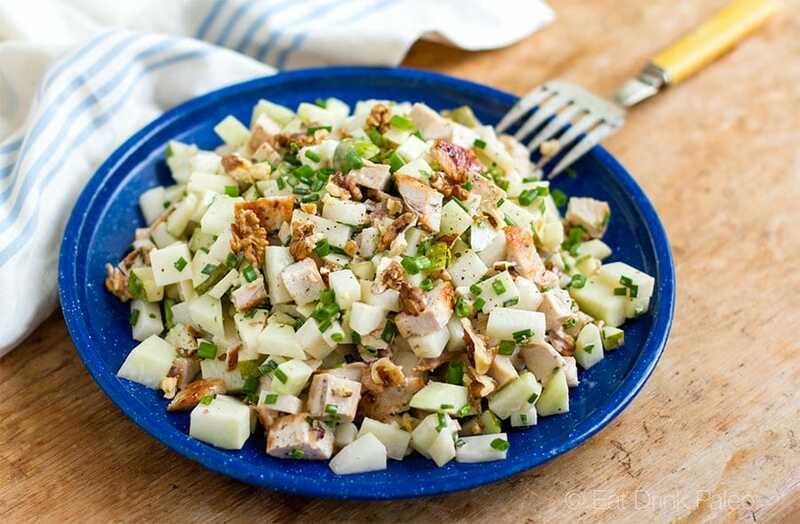 Meanwhile, toss the kohlrabi, pear, lemon zest, lemon juice, and vinegar in a bowl. Season with kosher salt. Add the 1/2 cup mint leaves and toss to combine. Put the toasted nuts in a small bowl and toss with the olive oil to coat. Season with more salt, if desired. 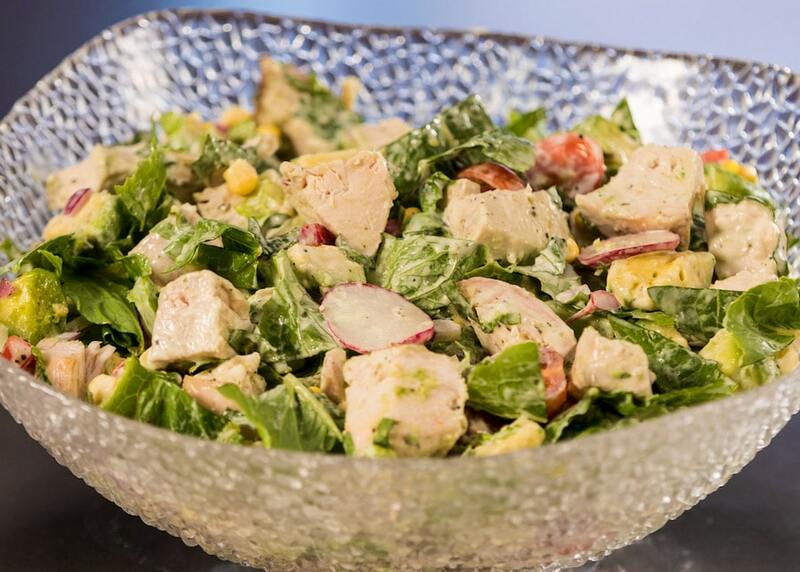 To serve, divide the salad among four plates and top with seasoned nuts, cheese, and more mint. MAKE THE CURRY. Heat the coconut oil on medium-high heat. Add the carrot and cook about 3 minutes, until it just begins to soften. Turn the heat down to medium, add the broccoli, onion, and ginger, and cook until they begin to soften and brown, about 5 minutes. Add the yellow curry powder and cook 1 minute. Then add the coconut milk and salt, stirring to mix well. Raise the heat to medium-high again and bring to a boil. Turn the heat down to medium—low and simmer for 15 minutes, stirring occasionally, until the sauce begins to thicken. MAKE THE NOODLES. While the sauce is cooking, heat the coconut oil in a skillet over medium heat. Add the spiralized sweet potato noodles, and cook, stirring often, until they just begin to wilt, about 10 minutes. Season with salt. To SERVE. Divide the noodles between two plates and top with the curry. Or combine before serving. Sprinkle with the cilantro and serve. 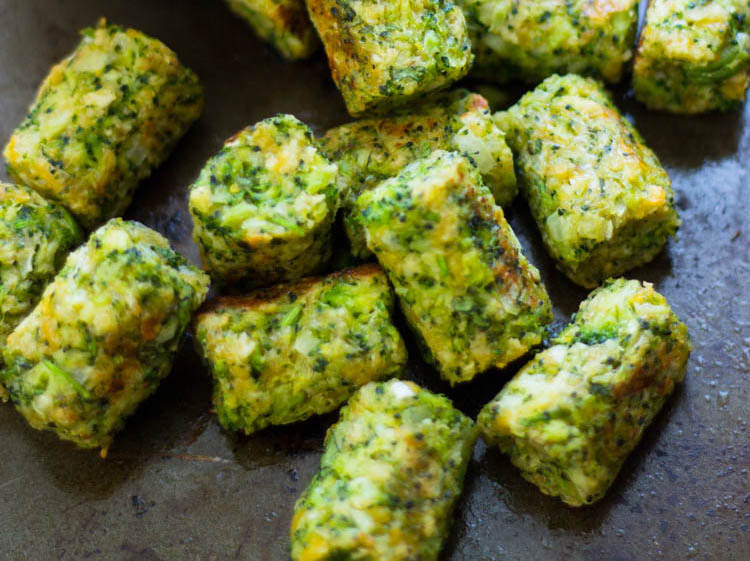 If you are hooked on tater tots, or just like finger food, these broccoli puffs are in easy twist on the classic. As a bonus, they’re a great way to use up any leftover steamed broccoli you may have in your fridge. Try them dipped in hot sauce or guacamole, or serve them as “croutons” on your favorite soup. 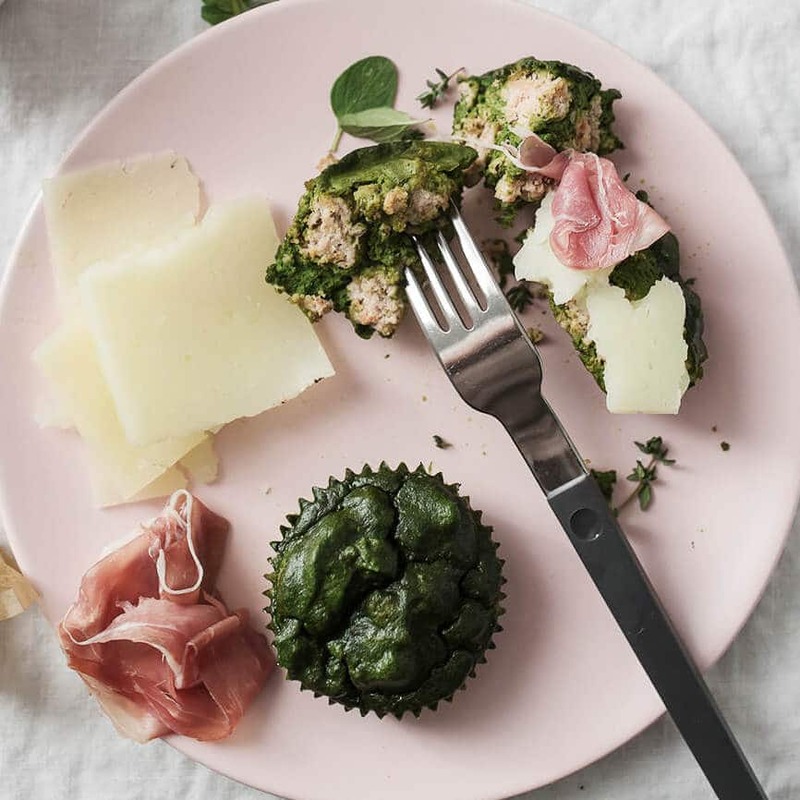 In the work ball of a food processor fitted with an S-blade, pulse the broccoli, eggs, onion, garlic, cassava flour, almond milk, pepper, syrup or honey, salt, parsley, and cheese or yeast. Scoop about 1 1/2 tablespoons of mix and gently pressed between your hands to form a tater tot shape. Wash your hands between every few tots to prevent sticking. Place the tights on the baking sheet, evenly spaced. Bake for at least 10 to 20 minutes, or until golden brown. Serve with hot sauce or guacamole if desired. It’s fine to use a high-speed blender, like a vita mix, too. Just work in batches, taking care not to overfill, because the mixture can get stuck in the bottom and get over a blended and turn mushy. Artichokes are an amazing source of inulin to feed your gut buddies, but steaming and then tediously pulling off each leaf to scrape out a meager amount of meat with your teeth is a pain in the neck. Inspired by Jimmy Schmidt, of Morgan’s in the Desert at the La Quinta Resort and Club, I simplified his dish and omitted the deep-frying for a baked version. Heat the oven to 400°F. Place 3 tablespoons of the olive oil, the lemon juice, and cayenne pepper in a mixing bowl and whisk until blended. Add the artichoke hearts to the bowl and stir until well coated. Coat a rimmed baking sheet with the remaining 1 tablespoon olive oil. Place the ﬂour, the 1/4 teaspoon salt, and the pepper in a 1 quart resealable plastic bag. Using tongs or your hands, add the artichokes to the bag and shake to lightly cover. Alternatively, mix the ﬂour, the 1/4 teaspoon salt, and the pepper in a glass casserole with a tight-ﬁtting lid. Add the artichokes and, holding the top firmly, shake to cover. 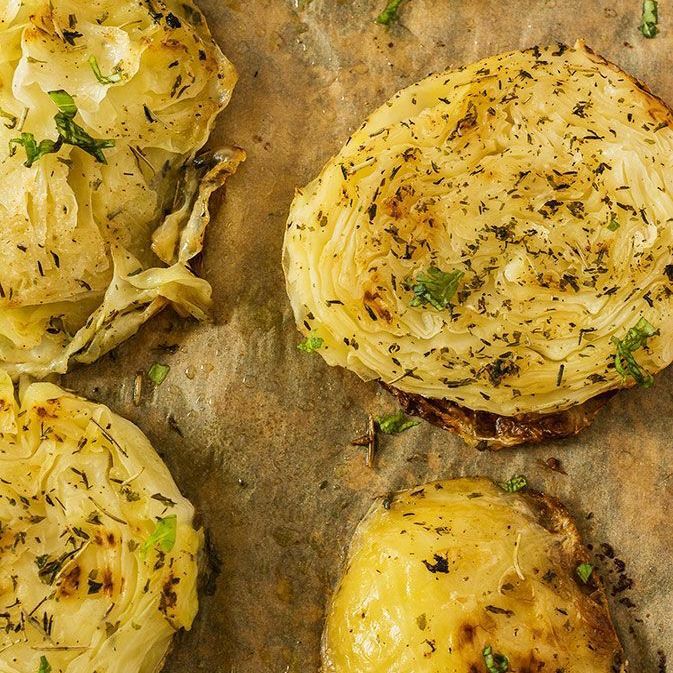 Place the artichoke hearts on the baking sheet and bake for 20 to 25 minutes, turning the artichokes or shaking the pan two or three times, until the artichokes are golden brown and crispy. Remove to a serving dish, sprinkle with more salt, if desired, and serve with lemon wedges. This is my variation on a recipe from www.foodfaithﬁtness.com, Taylor Kiser’s site. I’ve eliminated the nasty nightshades and kicked up the curry, making it Plant Paradox-friendly and vegan-friendly. Raise the heat to medium-high again and bring to a boil. Turn the heat down to medium-low and simmer for 15 minutes, stirring occasionally, until the sauce begins to thicken. MAKE THE NOODLES. While the sauce is cooking, heat the coconut oil in a skillet over medium heat. Add the spiralized sweet potato noodles, and cook, stirring often, until they just begin to wilt, about 10 minutes. Season with salt. To SERVE. Divide the noodles between two plates and top with the curry. Or combine before serving. Sprinkle with the cilantro and serve. Most people know okra as that slimy vegetable that’s found in gumbo or stewed with tomatoes. But you probably don’t know that the slimy stuff is actually one of the most effective trappers of lectins ever discovered. Okra is a natural born lectin blocker. It is so powerful that it is a major ingredient in my GundryMD Lectin Shield, part of my supplement line. 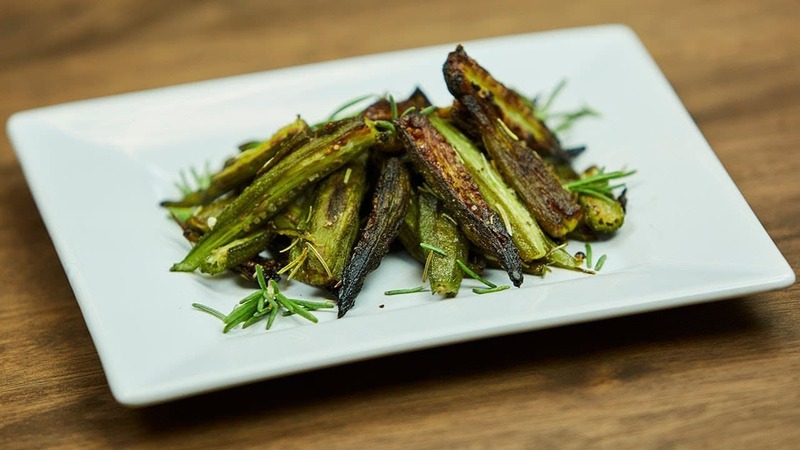 This recipe is another great way to get the beneﬁts of okra without the slime. I modified it from a wonderful one at www.eatingbirdfoodcom. If you are using frozen okra, defrost it first. These chips are absolutely addictive, so you may want to double the recipe! Although I often prepare this as a side dish, it almost never makes it to the table. Heat the oven to 450°F. Cut off the stem ends of the okra and then cut in half lengthwise. Place in a large bowl. Add the olive oil, thyme, rosemary, garlic powder, and salt. Add black pepper and optional cayenne pepper powder to taste and stir to coat the okra. Place the okra on a baking sheet in a single layer. Roast in the oven for 15 minutes, then shake the pan or, using a spatula, stir the okra. Roast another 10 to 15 minutes, until the okra is lightly browned and tender. Serve hot. A few years ago, my wife and I sat down for lunch at Da Silvano’s in Manhattan, one of our favorite Italian restaurants. My friend Silvano Marchetto is the owner, and that afternoon he walked over to our table with a glint in his eye, placing a plate, two forks, and a bottle of his own Tuscan olive oil in front of us. “Try this,” he said. The rest is history. 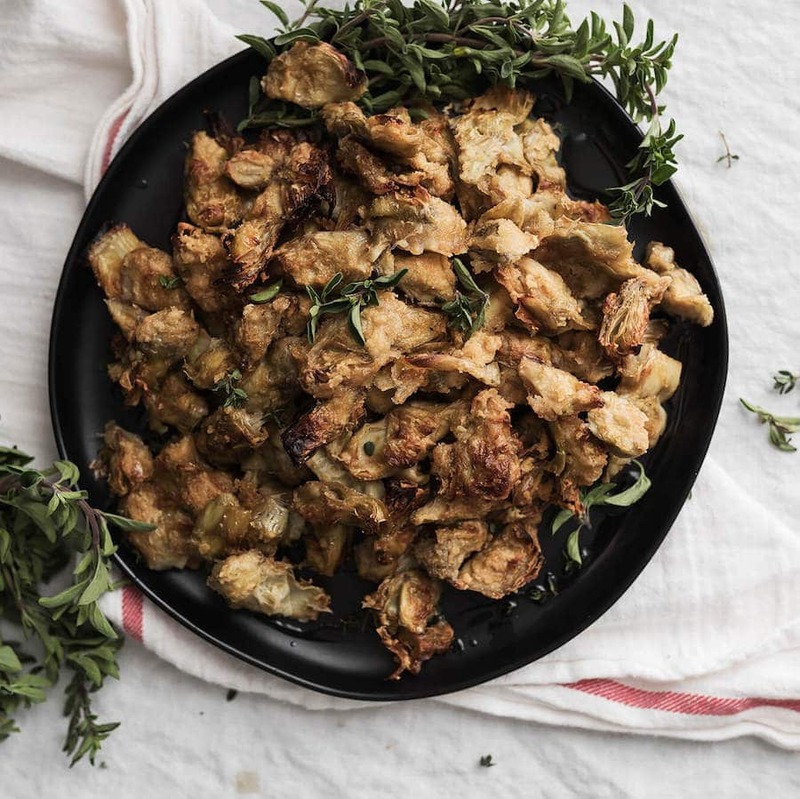 Cauliﬂower “steak” is now a permanent ﬁxture on the Da Silvano’s menu–and in our house. I’ve adapted his brilliant idea for you here. Substitute avocado, perilla oil, or macadamia nut oil for the olive oil, if you wish. Place the 1/2 cup olive oil, the onion, garlic powder, Italian seasoning, and cayenne pepper in a medium bowl. Add salt and black pepper to taste and the lemon juice. Whisk to combine. Transfer to a shallow pan. Using a large chef’s knife, cut off the cauliﬂower stems ﬂush with the head. Place the stem ends down on a cutting board. Slice each cauliﬂower in half. Then out into slices 1/2 to 1 inch thick (steaks). Turn on the exhaust fan if cooking indoors. Heat the grill to medium, or place a grill pan over medium-high heat on the stove top. 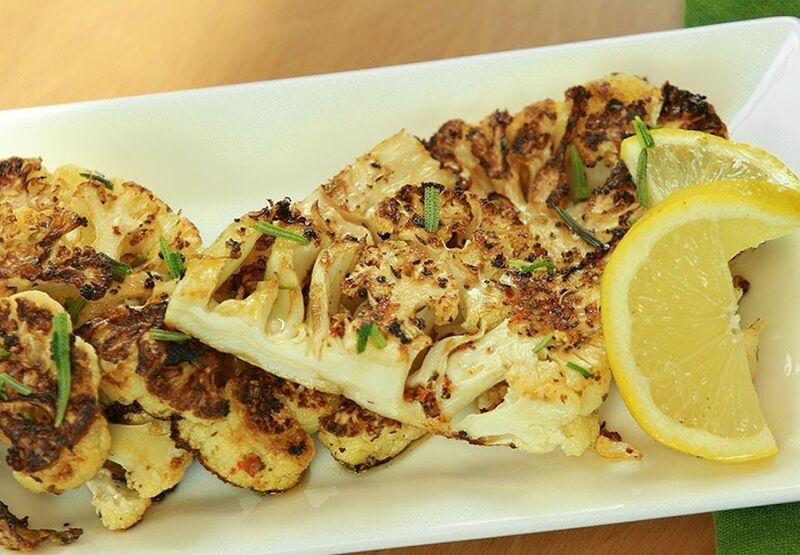 Using tongs, dip the cauliﬂower steaks in the marinade. Place on the grill or grill pan and Cook 5 to 8 minutes per side, until browned on the outside and tender inside. Transfer to a serving platter. Adjust the seasonings and serve with more olive oil. I created this recipe in the fall, when I was feeling a little left out of pumpkin pie spice mania. 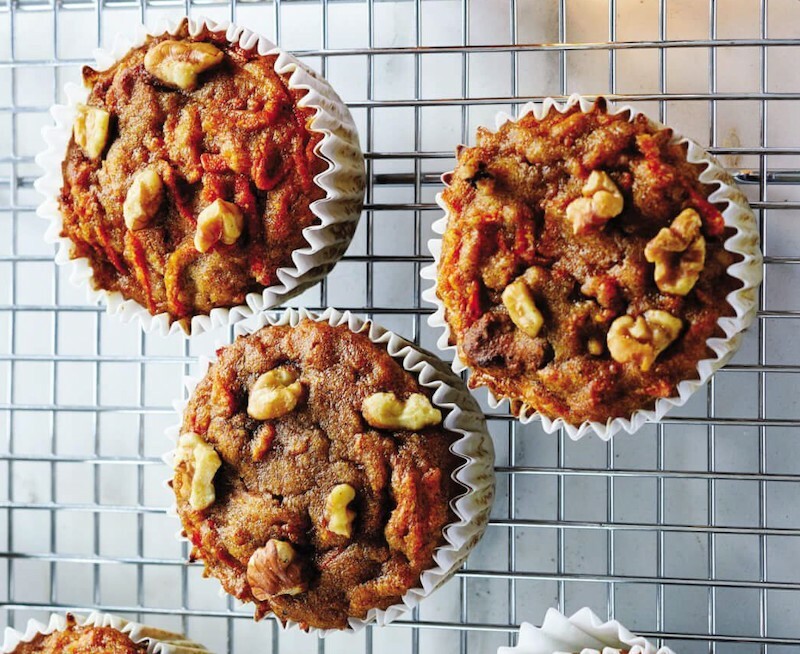 Think of it as a cross between a pumpkin muffin and a blondie – very moist, slightly crispy on top, with warming spaces of cinnamon and cloves. Try topping with a dollop of coconut cream for over the top deliciousness! Preheat the oven to 350°. Grease the 8 x 8“ glass baking dish with olive or coconut oil. Using a whisk or a mixing bowl, or in a stand mixer with a paddle attachment, cream together the coconut oil and yacon syrup (or Swerve). Mix in the sweet potato purée, coconut milk, and eggs. Add the flours, baking soda, spices, vanilla extract, and salt and mix well. Spread the batter evenly in the prepared baking dish. Bake for 45 minutes, or until a toothpick inserted into the center comes out clean, and the tops are golden brown. Let cool to room temperature before cutting. Stored at room temperature in an airtight container for 3 to 4 days. These tasty treats are lectin-free, high in protein, and has tons of healthy fats. That means it satisfies your sweet tooth and staves off those pesky hunger pangs at the same time. Then, whisk together the flour, salt, baking soda, ginger (fresh and dry), nutmeg, cinnamon, cloves, and allspice in a large bowl. Set the mixture aside. Next – in a measuring cup – whisk together the butter, erythritol, egg, and vanilla extract. Add your wet ingredients to your dry ingredients, and mix until they’re all well combined. Line your sheet tray in parchment paper. Then, spoon out little tablespoon-sized cookie balls onto the tray. Place it in the oven and bake for about 12-15 minutes. 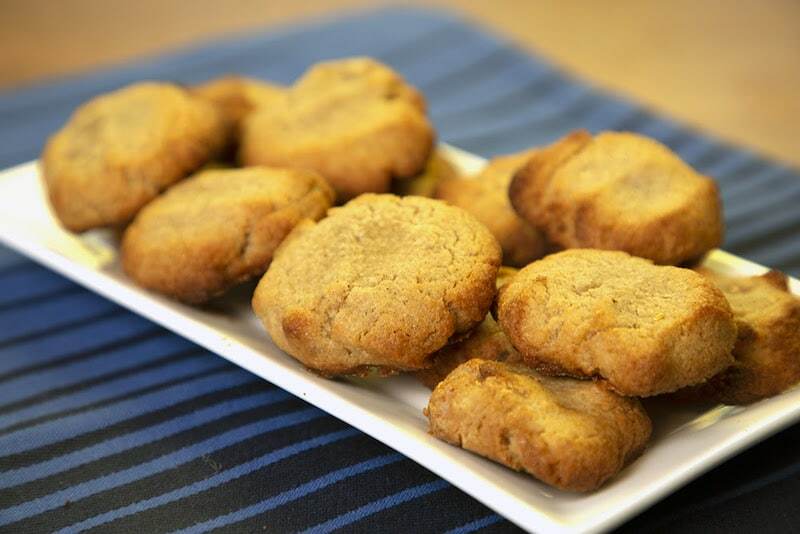 Finally, let your cookies cool to room temperature and serve them up to enjoy! This came from a recipe contest first place winner, Nicola Moores. We were truly wowed by the flavor of the cake and the care she put into the recipe. Because I love the combination of orange and rosemary, we made one tweak and added a little orange zest to the batter, but you can omit this if you prefer. This desert is a true stunner and sure to satisfy even the most discerning critics! Grease an 8 inch cake tin with all of oil. (Ideally, use a springform pan). In a food processor fitted with an S-blade, pulse the almond flour, orange zest, and rosemary until they’re as fine as possible. Transfer to a mixing bowl and stir in the xylitol, baking powder, and lemon zest. Add the lemon juice, olive oil, and eggs and mix until combined. Pour the batter into prepared cake pan, then put into a cold oven. Turn the oven to 350°F, and bake for approximately 25 to 30 minutes, or until a skewer inserted into the center of the cake comes out clean. Leave in the tin for 5 to 10 minutes to cool. While the cake is cooling, make the syrup. Gently heat all of the ingredients in a small sauce pan over medium heat until the xylitol has dissolved. Bring to a gentle boil for five minutes, allowing the rosemary to infuse. Remove rosemary sprigs. Using a bamboo skewer or the end of a meat thermometer, pierce holes all over the cake. Pour the syrup over the cake while still warm. 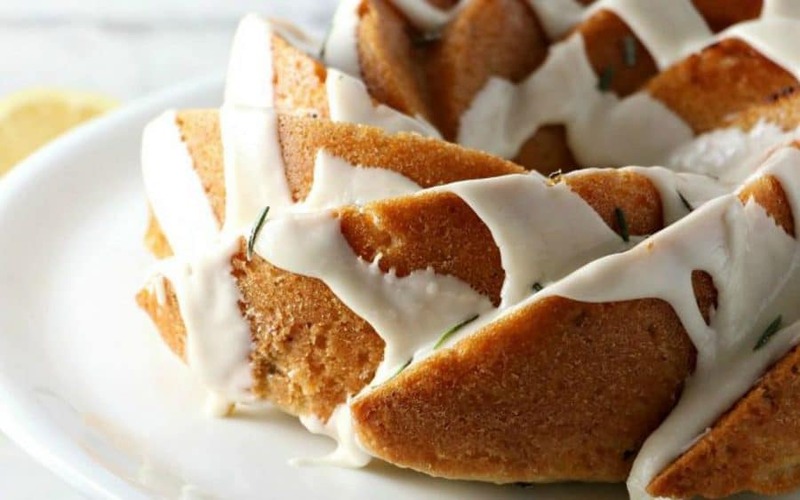 Once cool, serve garnished with rosemary sprigs and a dollop of goats milk yogurt. Store leftovers in an airtight container at room temperature for 3 to 4 days. Saying goodbye to the sugars and lectins in grains is never easy on your taste buds, particularly your mother made a great rice pudding. But your gut and the rest of your body will thank you for changing. The folks at Miracle Noodles, whose products I featured in my ﬁrst book as “foodles,” have developed Miracle Rice, which makes a good stand-in for rice and is widely available. Miracle Rice is made from the konjac root, whose main ingredient is glucomannan, an amazing resistant starch that your gut buddies adore. On the few occasions when you decide to have dessert, how about having something that feeds the good guys, and not the gang members? You even get to pick between the chocolate and vanilla versions. Heat the oven to 350°F. Drain the Miracle Rice in a colander and rinse under running water for about a minute. Set aside to drain further. Put the coconut milk, sweetener, coffee powder, and cocoa powder in a medium saucepan. Whisk over medium heat, until the sweetener has dissolved and the mixture is blended. Turn off the heat. Add the chopped chocolate and stir untill melted. Place the chocolate in an S-blade or a blender. Add the vanilla extract, avocados, and mint, and blend until smooth. Pour into a bowl, cover, and refrigerate 2 hours, until cool. Stir in the chocolate chips until well dispersed. Spoon or pour into an ice cream maker (see Note) and churn until thick and set. It will be the consistency of soft-serve ice cream. Serve immediately. You can also freeze to a firmer consistency and serve later: transfer to a metal or glass container and cover with wax paper secured with a rubber band. VEGAN VERSION: Omit the egg and substitute one VeganEgg. NOTE: If you don’t have an ice cream maker, put the ice cream mixture into a metal loaf pan or a glass or ceramic casserole pan and place in the freezer. Stir every 1/2 hour to break up ice crystals and keep stirring until desired consistency is reached. Get more plant goodness into you. 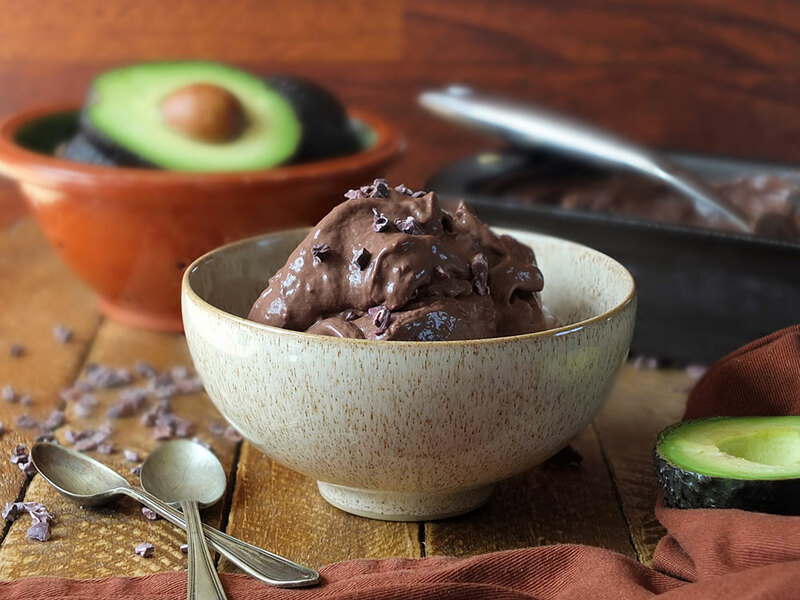 This delectable dessert will satisfy your cravings for ice cream and chocolate without derailing your new way of eating. Be sure that the coconut milk can is not lined with the deadly disruptor BPA. Trader Joe’s makes a great thick coconut cream. 2 Hass avocados, peeled and pits removed. Put the coconut milk, sweetener, coffee powder, and cocoa powder in a medium saucepan. Whisk over medium heat, until the sweetener has dissolved and the mixture is blended. Turn off the heat. Add the chopped chocolate and stir until melted. Place the chocolate mixture in a food processor fitted with the S-blade or a blender. Add the vanilla extract, avocados, and mint, and blend until smooth. Pour into a bowl, cover, and refrigerate for 2 hours, until cool. Stir in the chocolate chips until well dispersed. Spoon or pour into an ice cream maker (see Note) and churn until thick and set. It will be the consistency of soft-serve ice cream. Serve immediately. You can also freeze to a firmer consistency and serve later: transfer to a metal or glass container and cover with wax paper secured with a rubber band. Make your own personal mini cake that boasts a symphony of ﬂavors when you need a special treat. Because cream is 100 percent fat, the breed of cow does not matter as it does with milk (it is the protein portion of the milk that is impacted by the casein A-1 mutation in most cows). 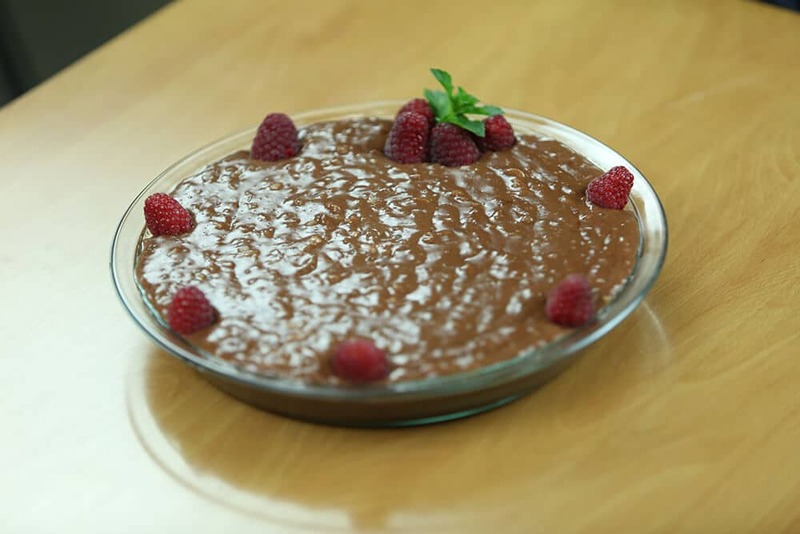 Put the cocoa powder, sweetener, and baking powder in a mixing bowl. Using a fork, whisk to combine and mash up any clumps of baking powder. Put the egg, heavy cream, and vanilla extract in another small bowl, and whisk to combine. Pour the wet ingredients into the dry ingredients and mix unIil all ingredients are well incorporated. Grease the bottom and sides of a 4 1/2-inch-diameter ramekin with the butter. Pour in the batter. Microwave on high for 1 minute 20 seconds and remove. 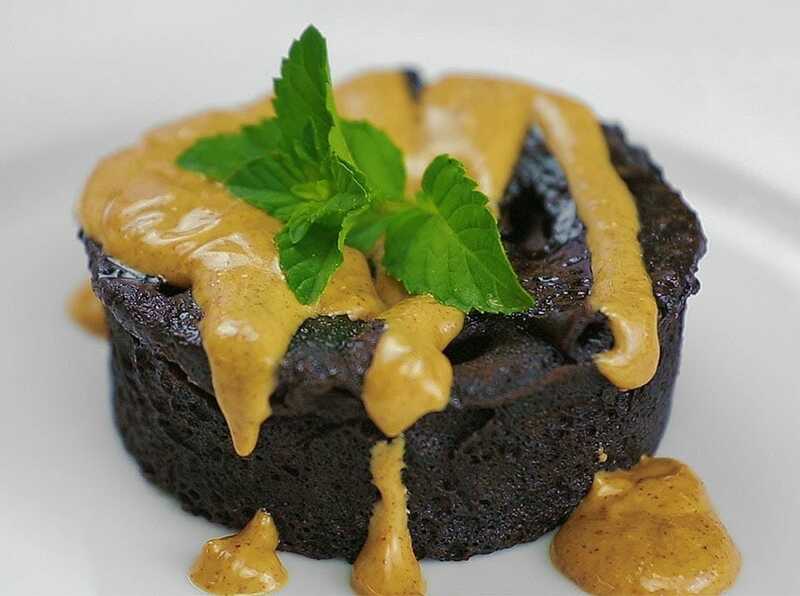 Soften the almond butter in the microwave oven, drizzle over the top of the cake, and serve. VEGAN VERSlON: Replace the cow cream with 1 tablespoon coconut milk or coconut cream. Replace the butter with 1 teaspoon coconut oil. Replace the egg with 1 VeganEgg. The Plant Paradox 3-Day Cleanse is relatively easy by cleansing standards, as you don’t have to fast and there are some great meals included. Consume plenty of healthy fats to avoid getting hungry. An asterisk (*) indicates that the recipe contains chicken or salmon, and that there are vegan and/or vegetarian variations. Hyperlinks take you to Plant Paradox meals and recipes further down the page, in the recipe section. Vegetarian meal modification: Replace animal protein with approved Quorn products. Vegan meal modification: Replace animal protein with grain-free tempeh, hemp tofu, or 3/4-inch-thick cauliflower slices seared over high heat in avocado oil until golden brown on both sides. 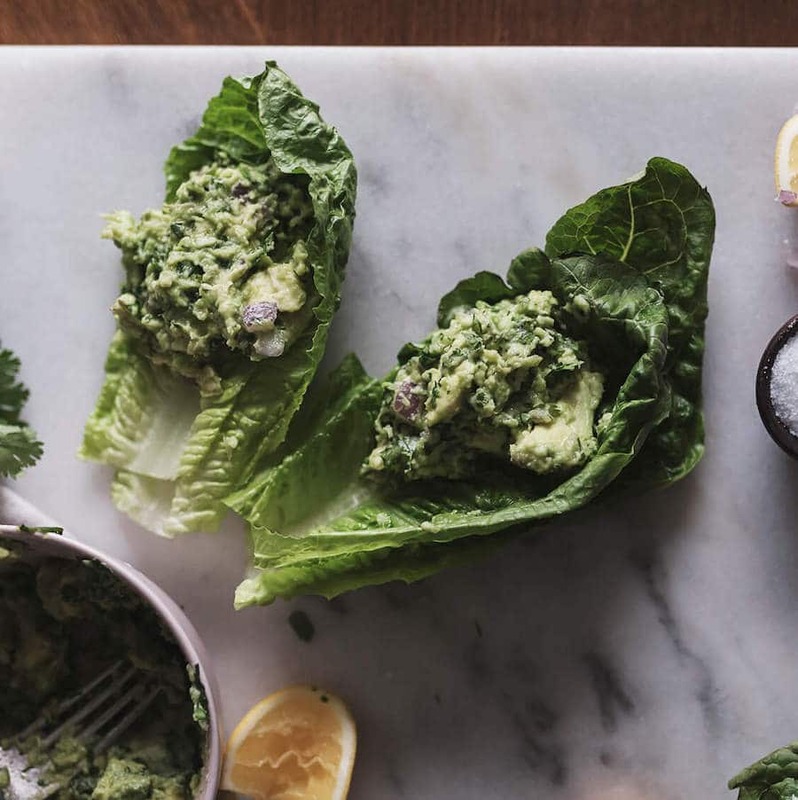 To get you going, here’s an inspired take on the Plant Paradox 3-Day Cleanse. Just because it’s healthy doesn’t mean it can’t be delicious! Watch the video below to hear Dr. Gundry explain the Plant Paradox 3-Day Cleanse. 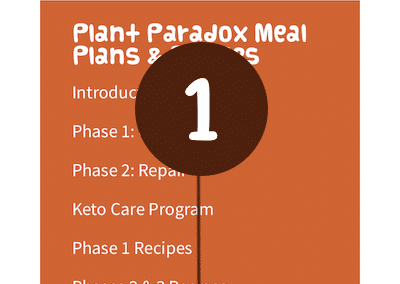 Phase 2 of the Plant Paradox diet lasts for a minimum of six weeks, so it’s a good thing there’s no shortage of delicious meals and recipes to choose from. You can alternate these two weekly meal plans or create your own. Get cooking! 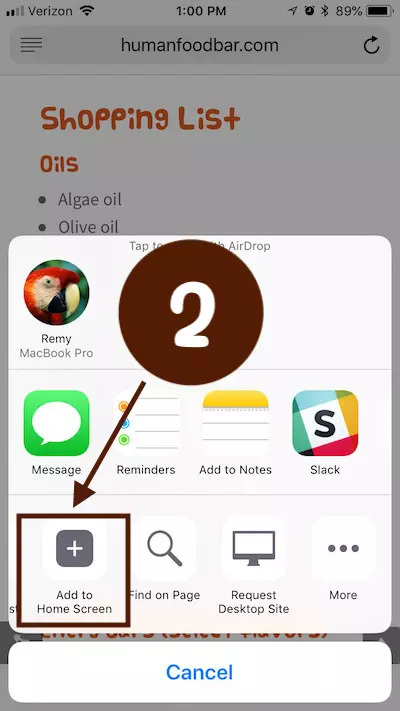 Recipes marked with an asterisk (*) contain chicken, fish, shellfish, or eggs. Consume no more than 4 ounces of animal protein per meal. Vegetarians and vegans can refer to the vegetarian and vegan versions of recipes. 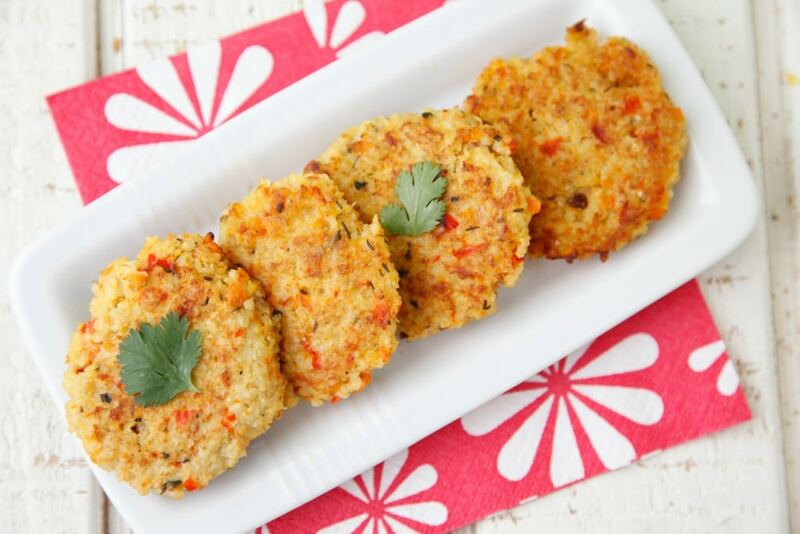 For other dishes, vegans can substitute grain-free tempeh, hemp tofu, VeganEggs, pressure-cooked legumes, or cauliflower “steaks” for animal protein. Vegetarians can also substitute acceptable Quorn products. LUNCH: Two hard-boiled pastured eggs topped with Basil Pesto* and salad of your choice with vinaigrette. During Phase 2 of the Plant Paradox Diet program the list of things you can eat has expanded, including some very delectable dishes. The meal plan for Phase 2, week 2 is delicious, so head to the store, and get cooking! The full list of recipes is found further below. The Plant Paradox Keto Intensive Care program is designed for people whose bodies need a little extra help. Repeat these plans every week, adding your own variations as long as you stay within the guidelines provided on pages 261-267 of the Plant Paradox program book. Modify the Phase 2 recipes to limit your intake of fish or other animal protein to a maximum of 4 ounces per day. Unless otherwise noted, dress all salads with “keto vinaigrette,” which is a one-to-one mix of olive or perilla oil and MCT oil, plus the amount of vinegar you prefer. Variations for vegetarians and vegans are provided in parentheses. LUNCH: Quorn Chik’n Cutlets and cabbage slaw wrapped in lettuce with 2 tablespoons avocado mayonnaise and sliced avocado. Drink 1 tablespoon MCT oil. Find the Human Food Bar logo on your phone.